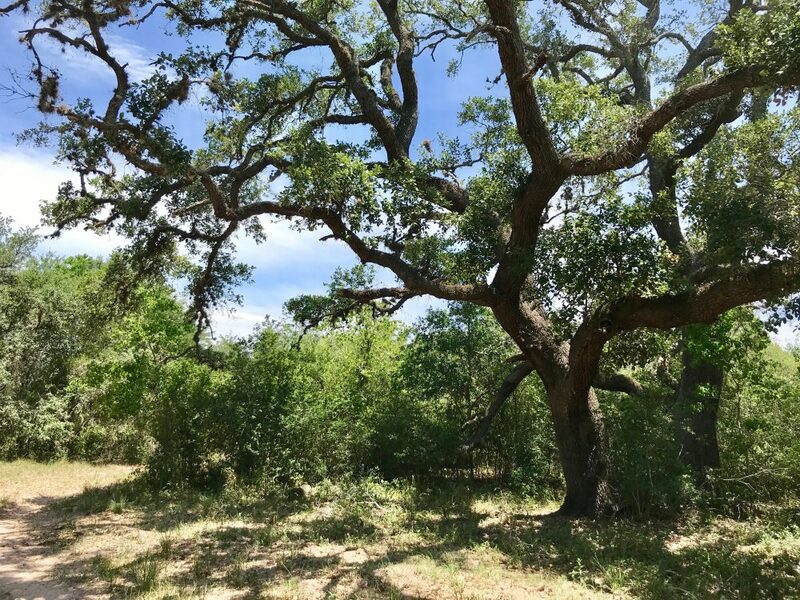 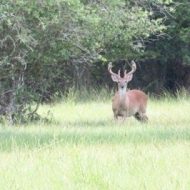 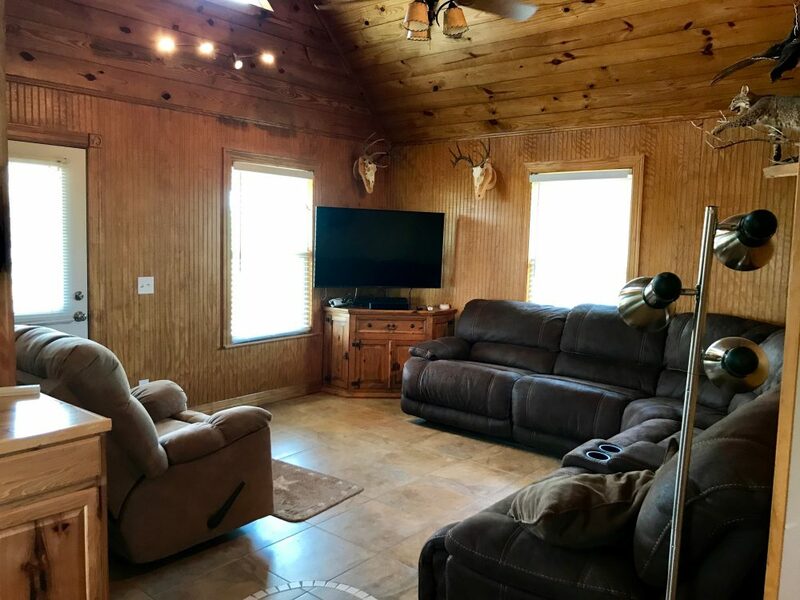 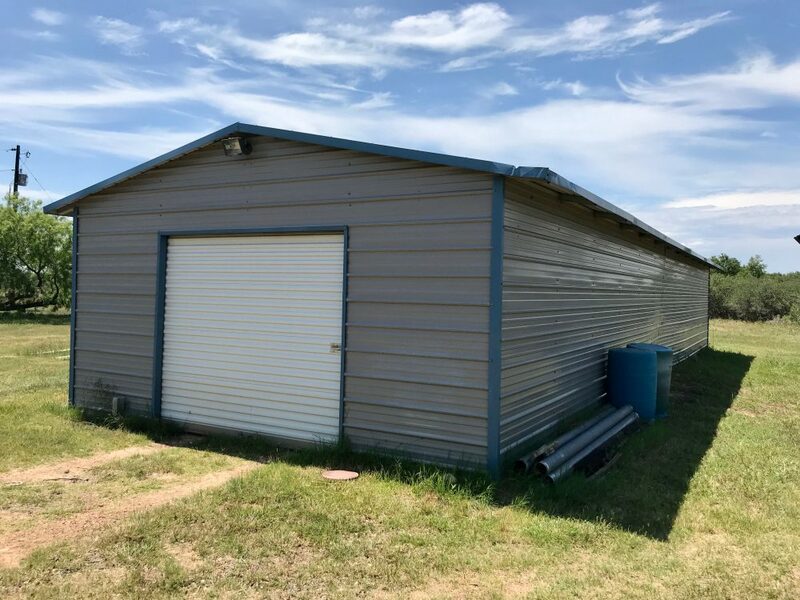 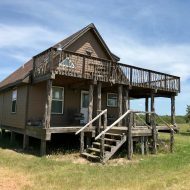 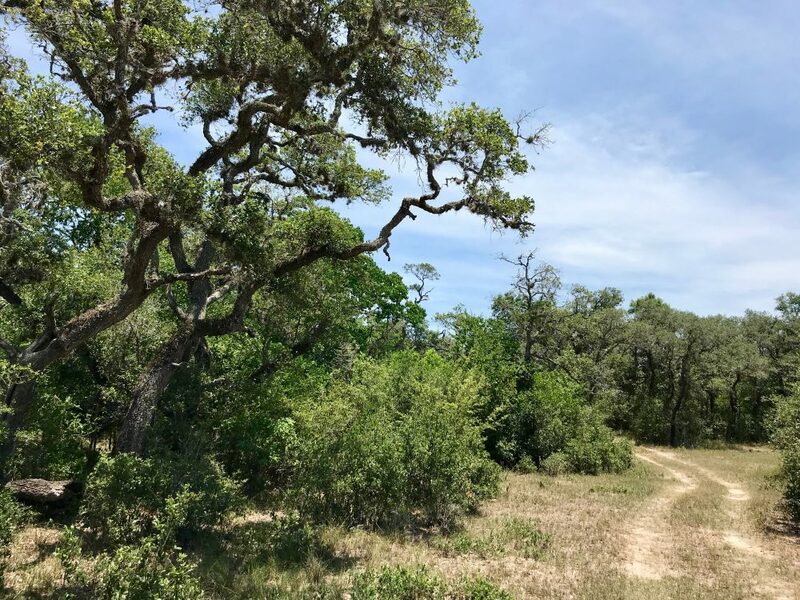 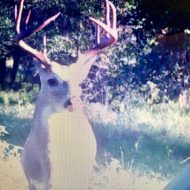 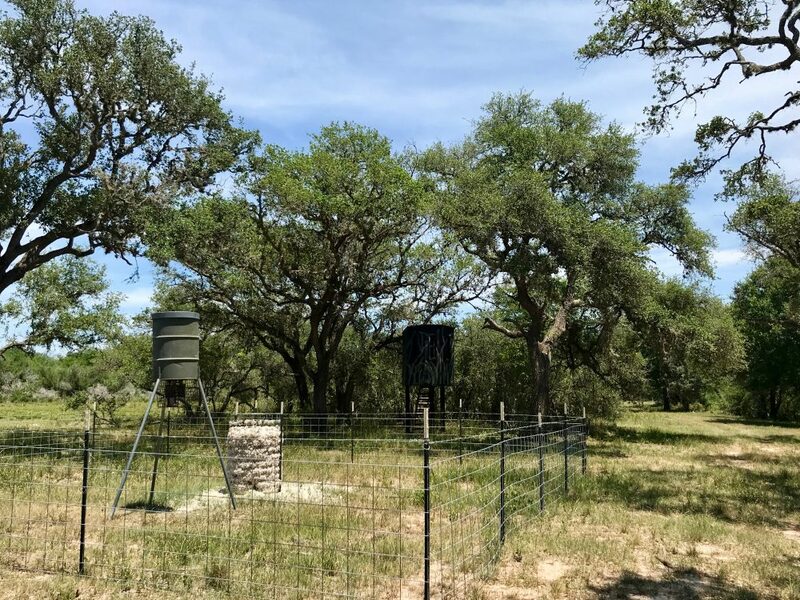 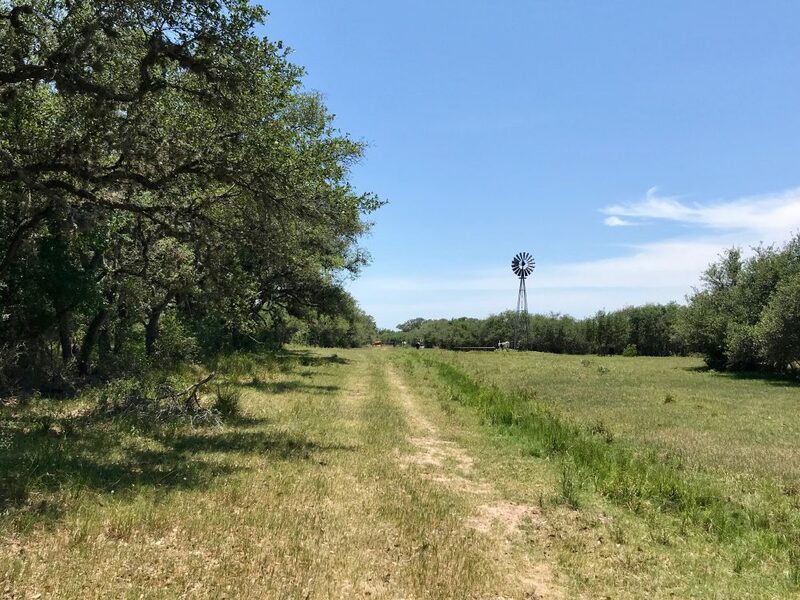 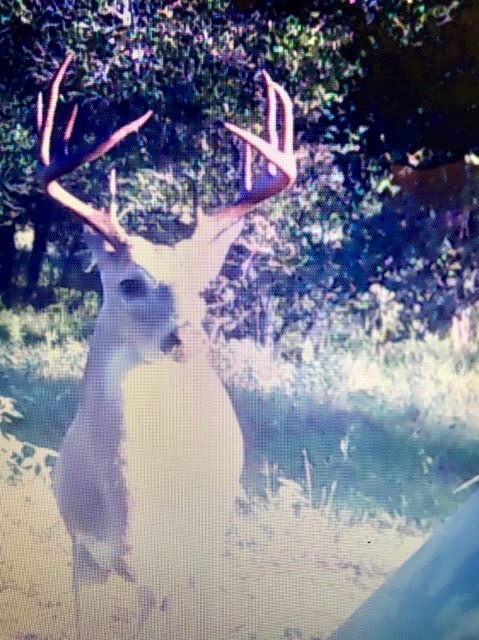 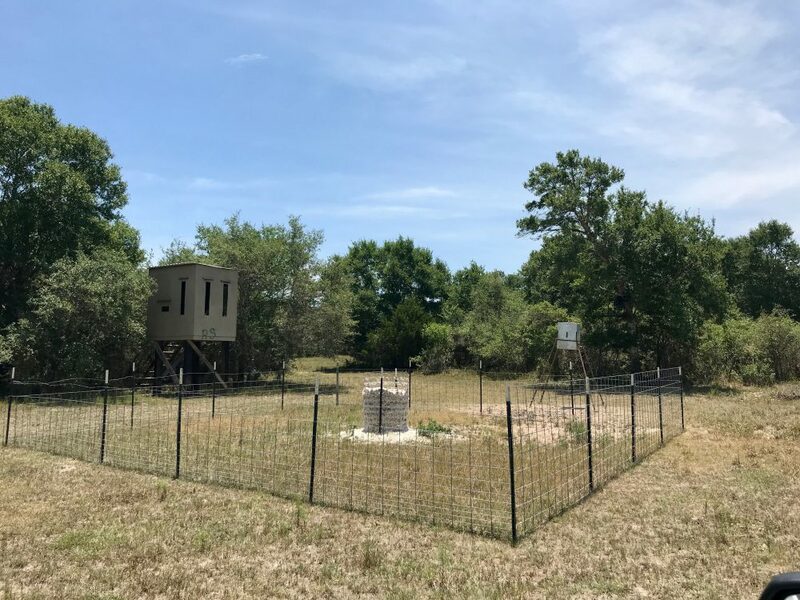 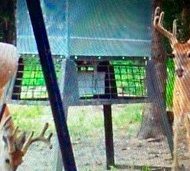 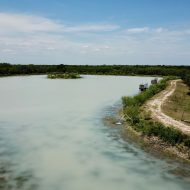 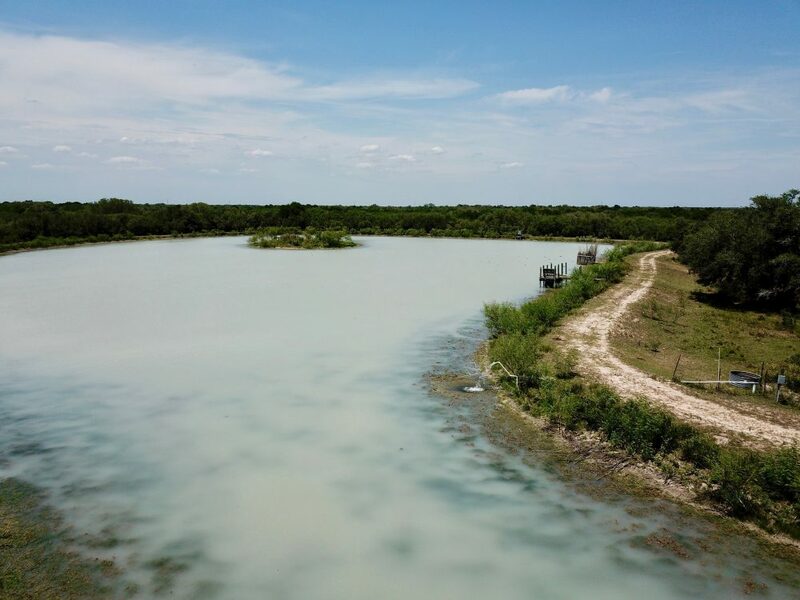 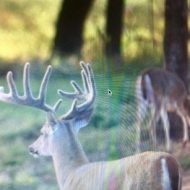 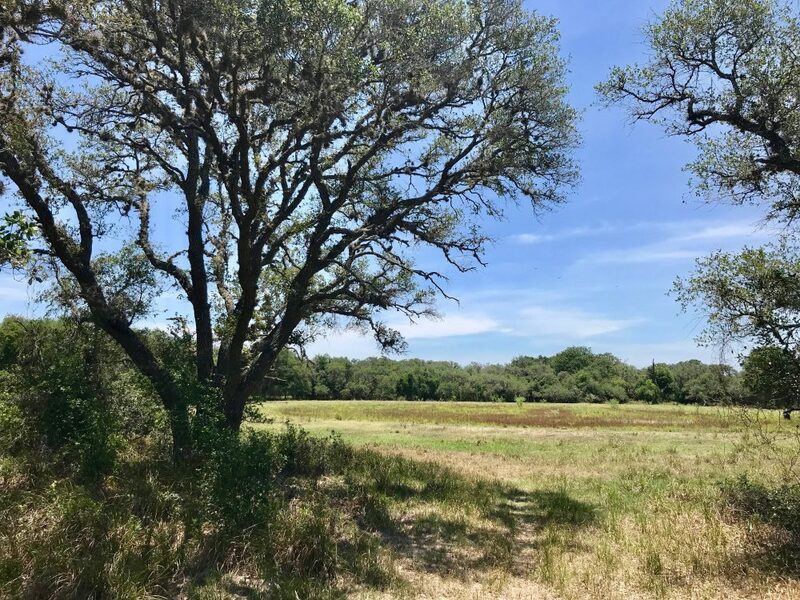 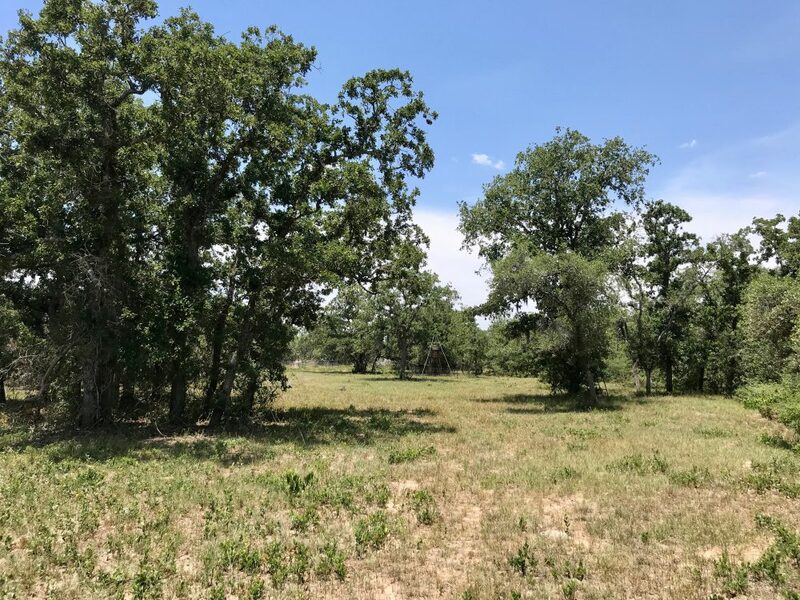 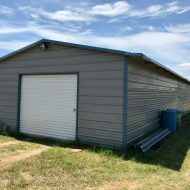 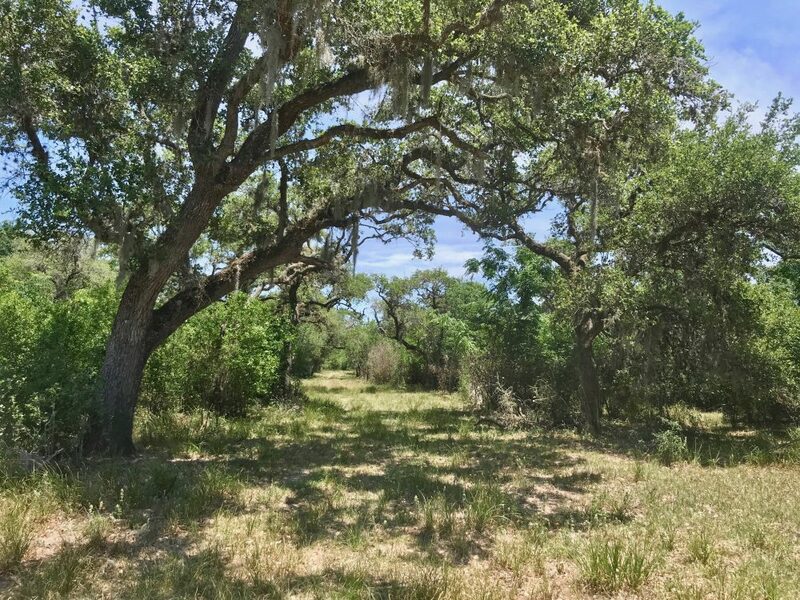 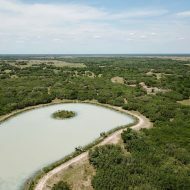 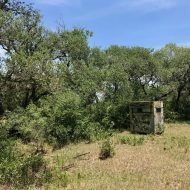 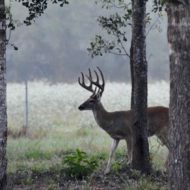 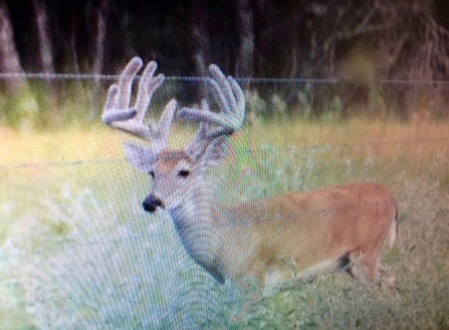 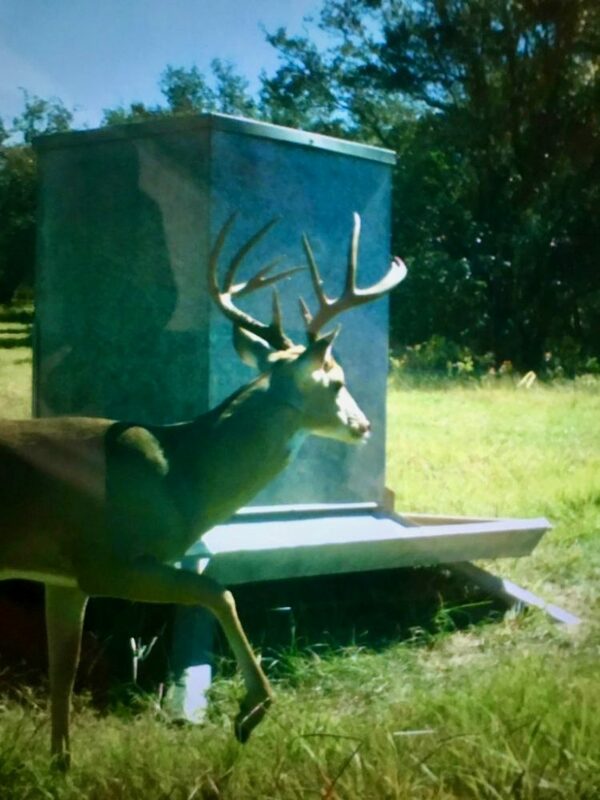 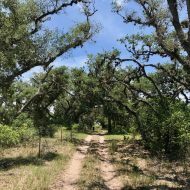 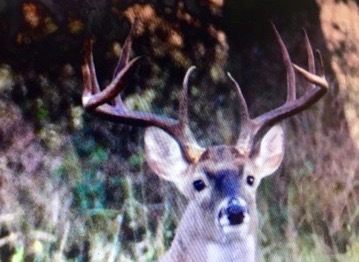 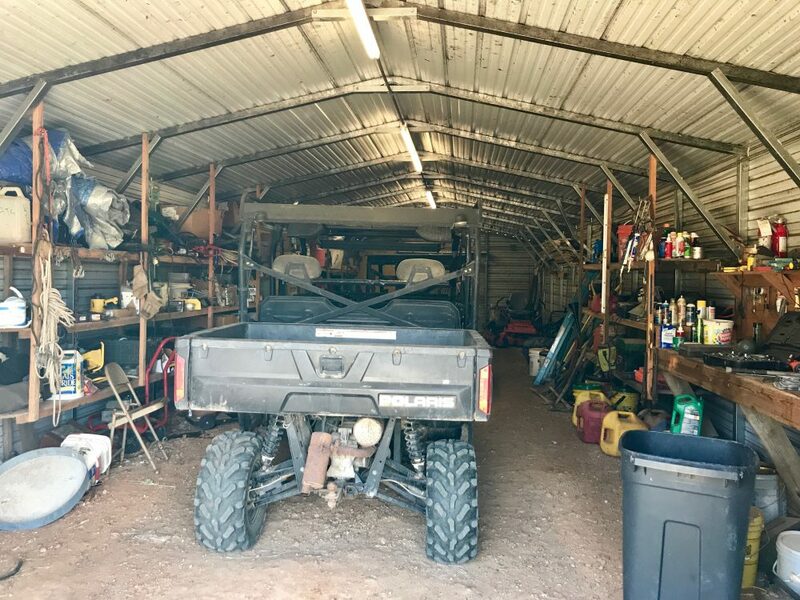 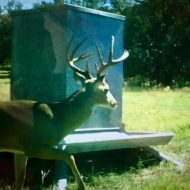 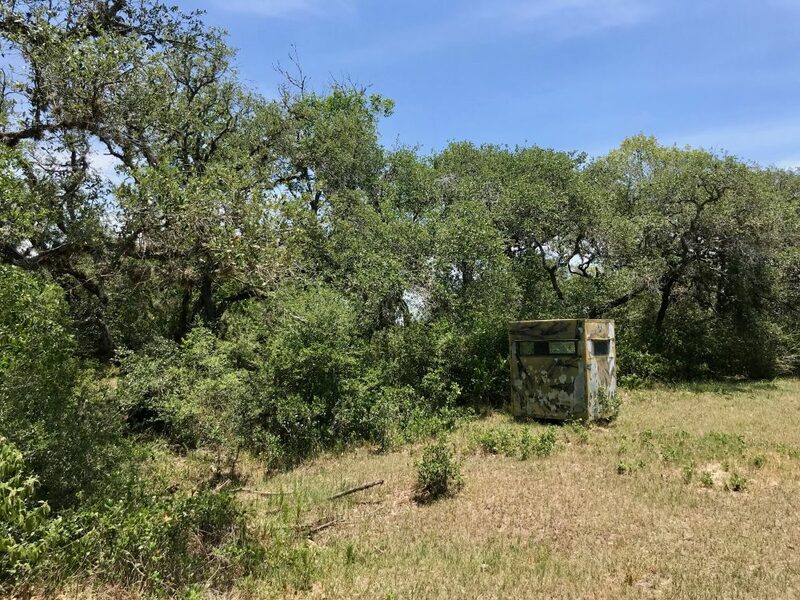 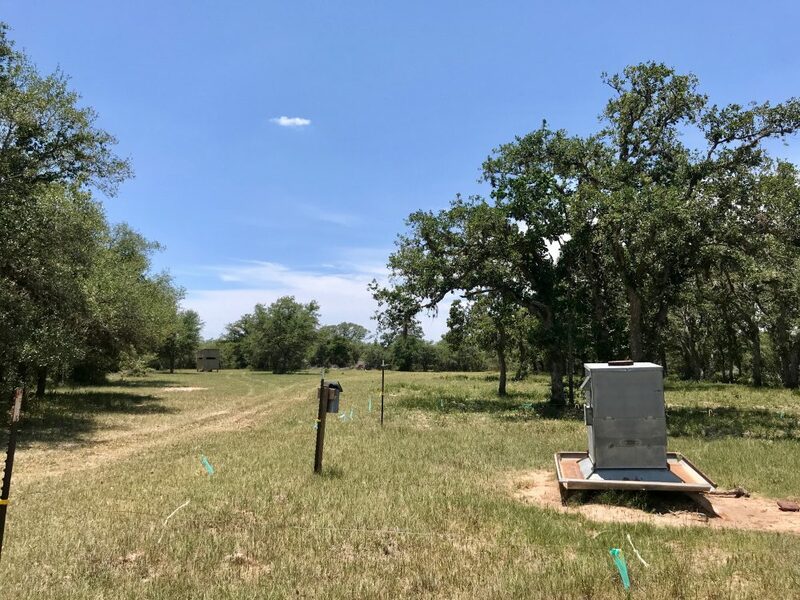 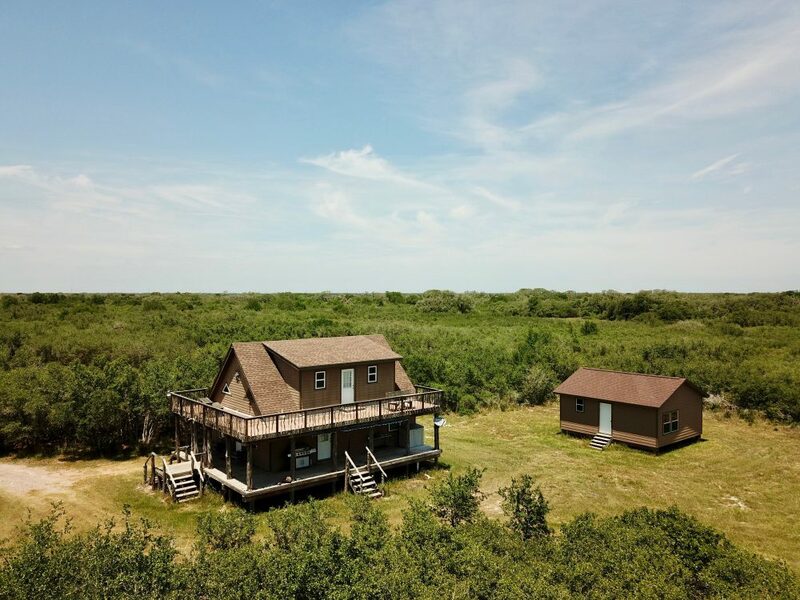 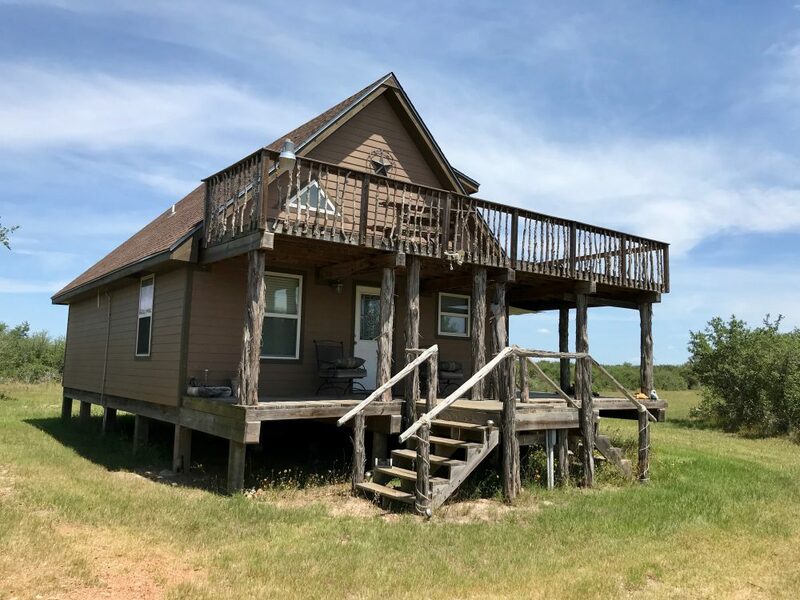 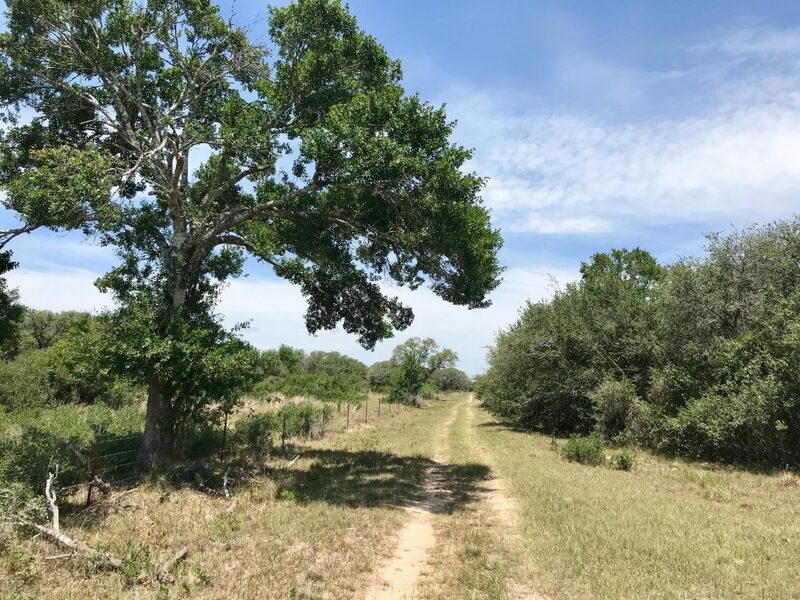 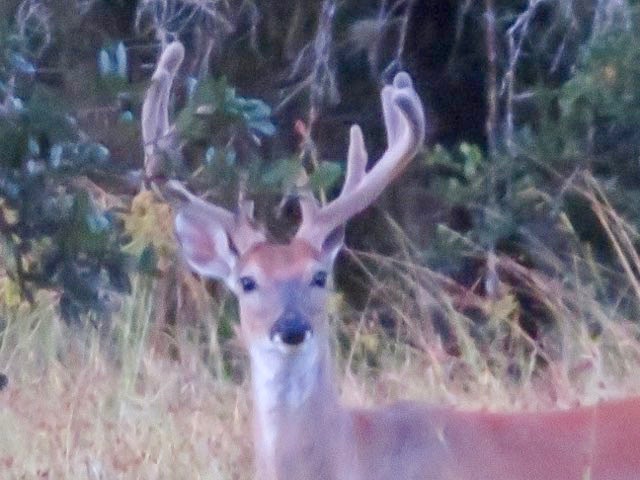 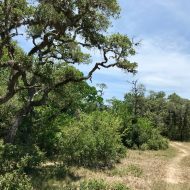 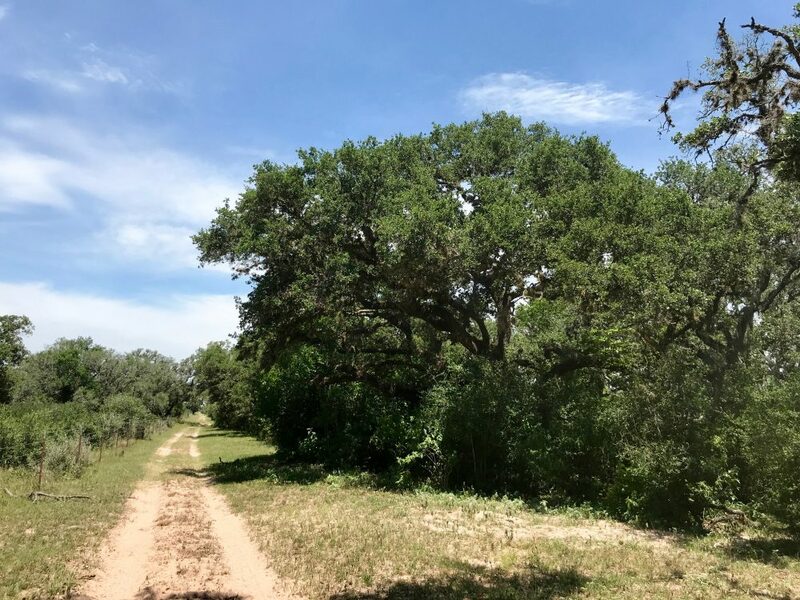 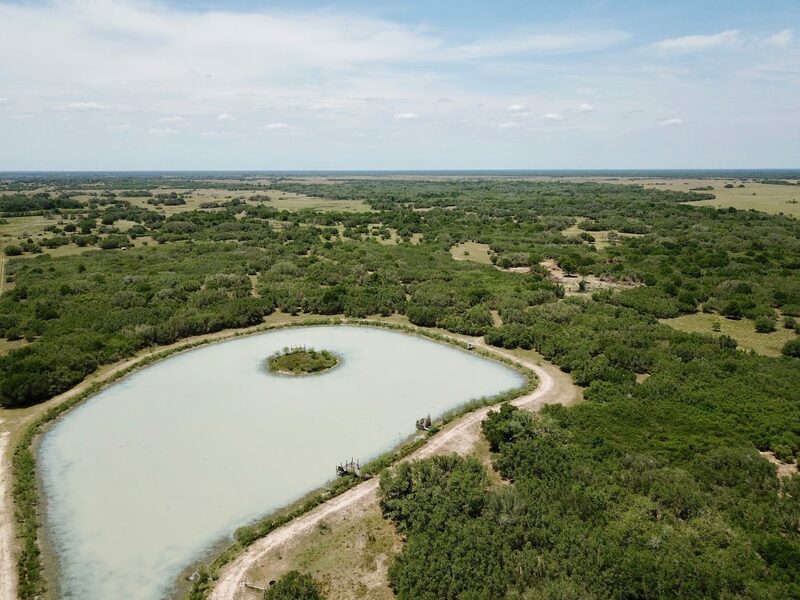 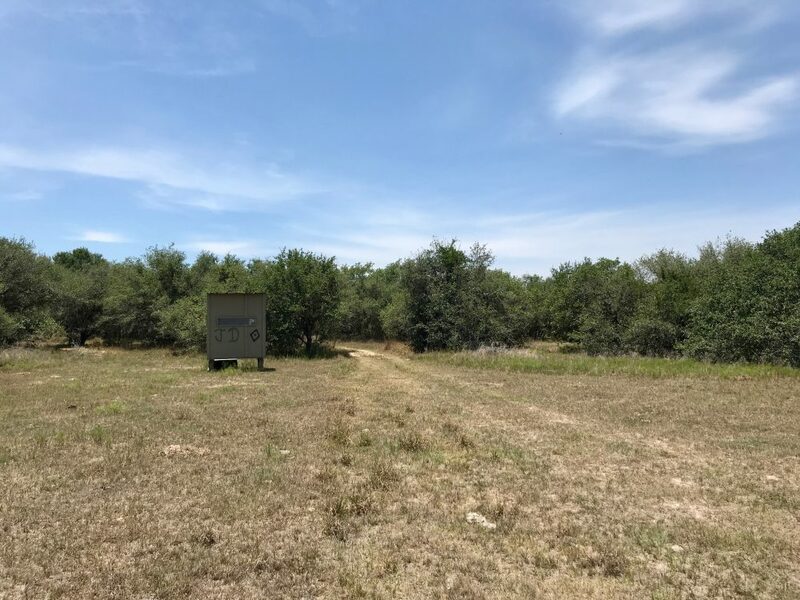 Location: This 528 acre ranch is located only 1.5 hours south of Houston, in the West corner of Jackson County, only 1/2 mile from the Lavaca County line and the Victoria County line. 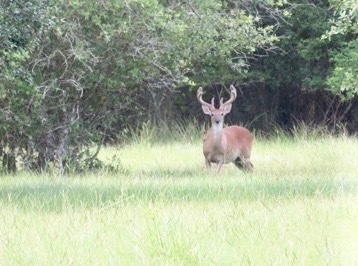 It is an 18 mile drive to Edna, TX and a 19 mile drive to Victoria, TX. 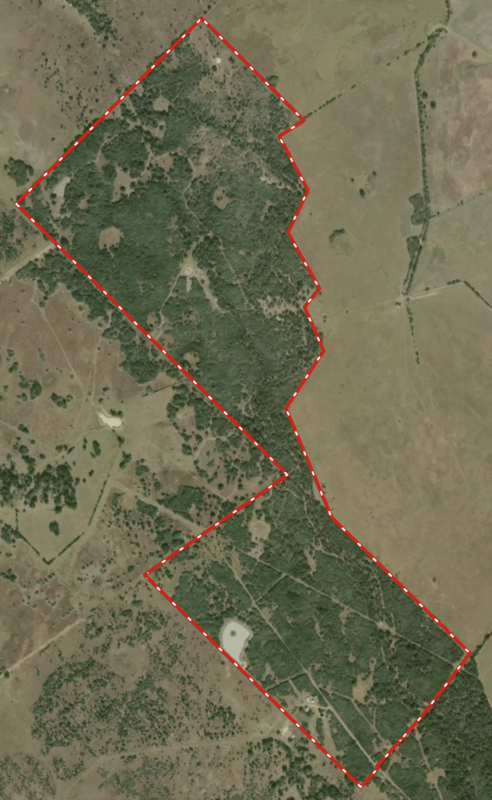 It is accessed via a 1 mile deeded gravel easement from J2 Ranch Drive. 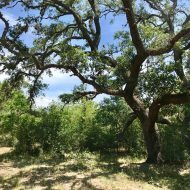 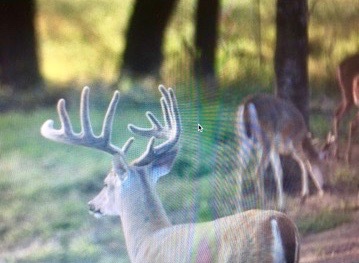 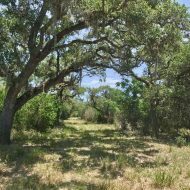 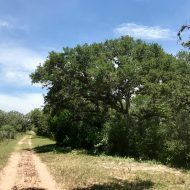 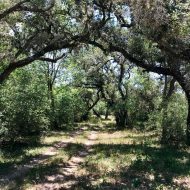 Vegetation: The ranch is heavily wooded, covered in hundreds of beautiful, huge live oaks. 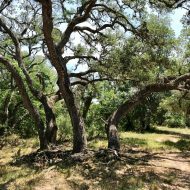 There are also many water oak, post oak, pecan, elm, hackberry, and sycamore trees. 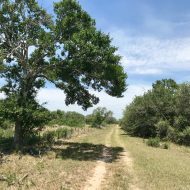 The native brush is typical of the Texas coastal plains, including yaupon and beauty berry, among many others. 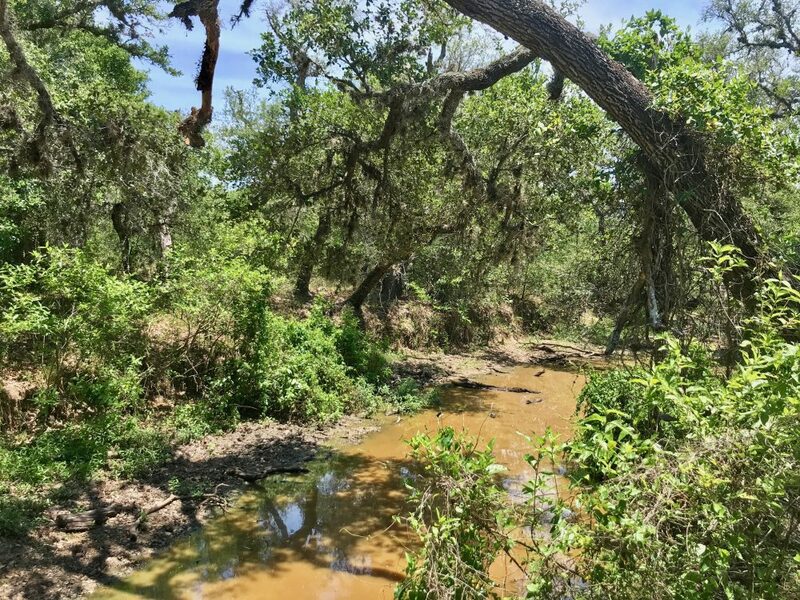 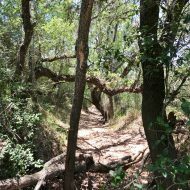 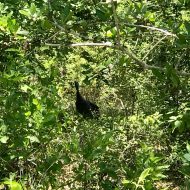 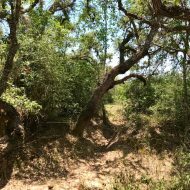 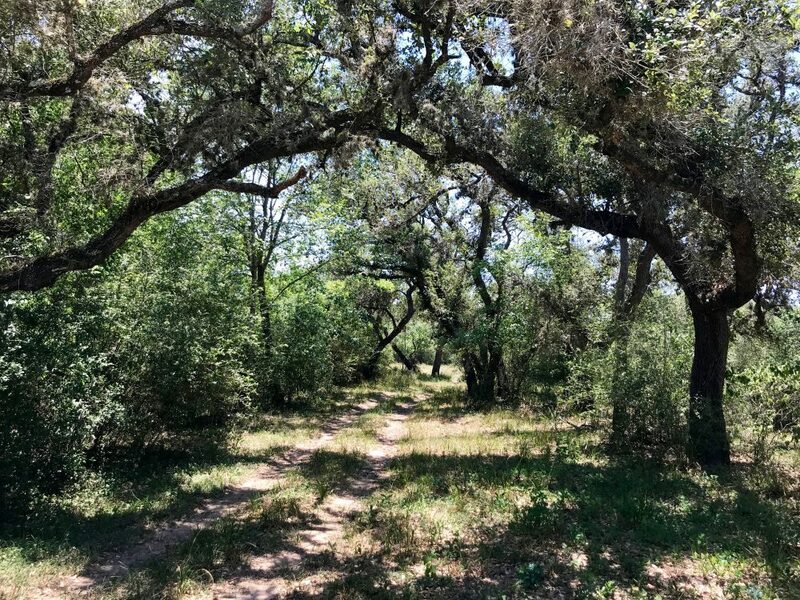 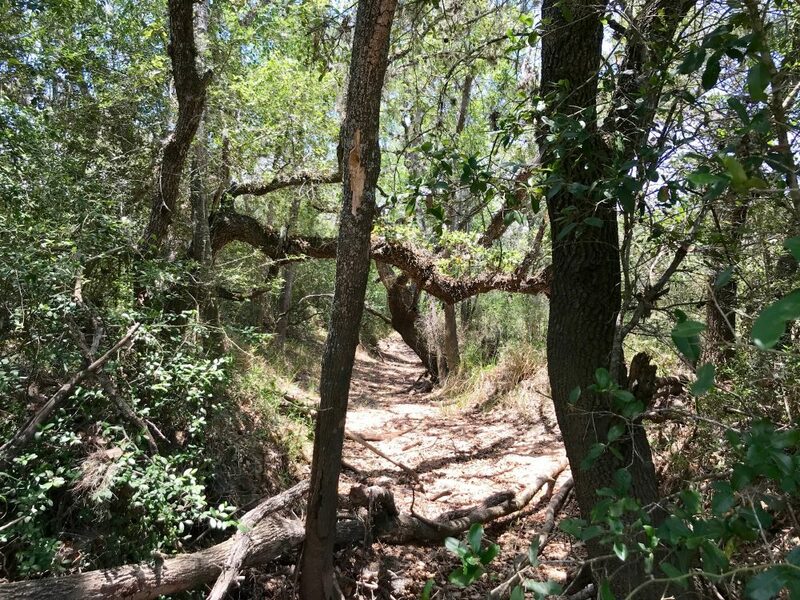 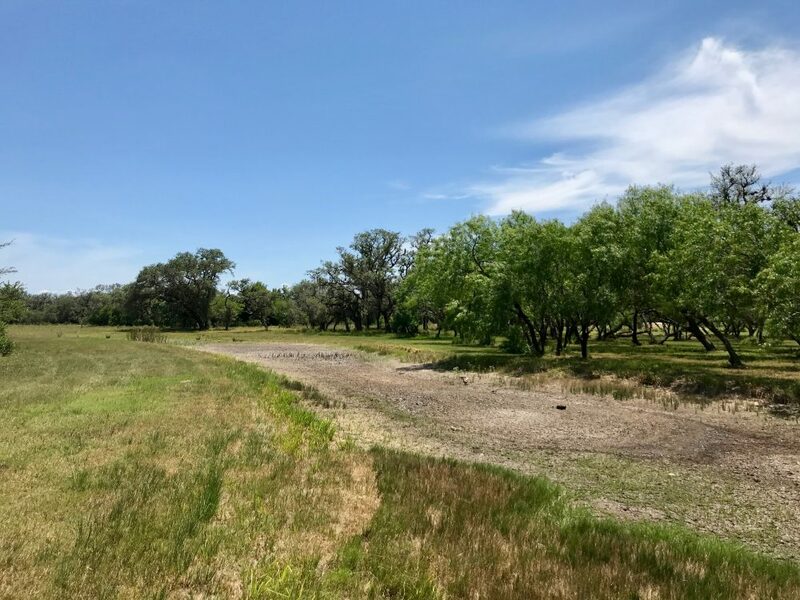 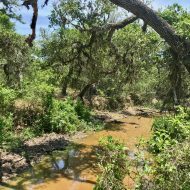 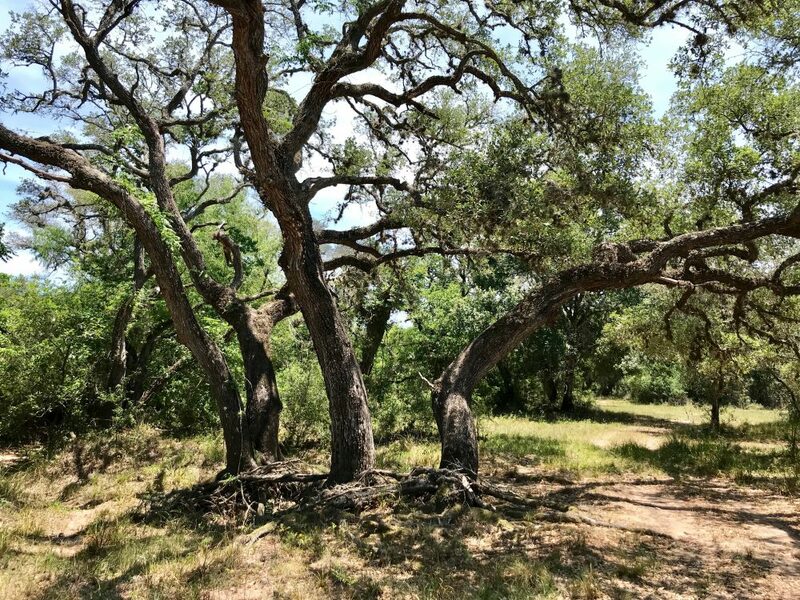 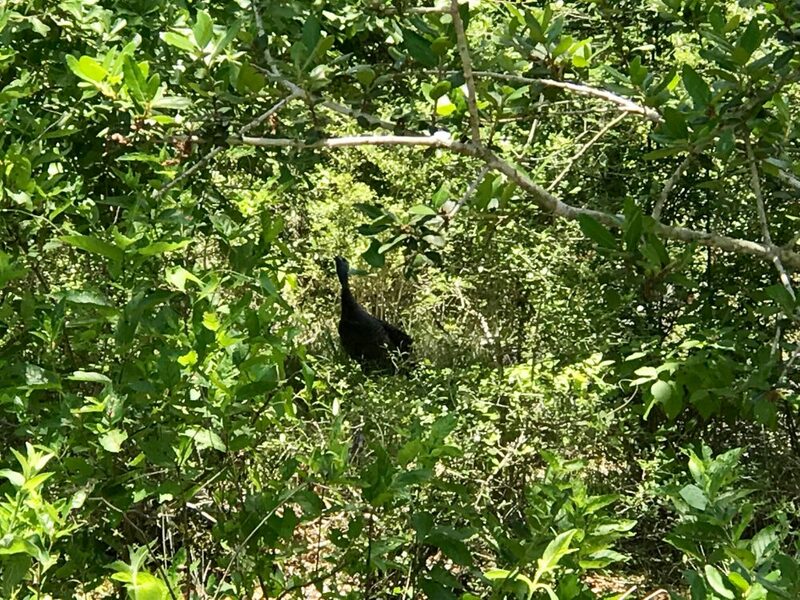 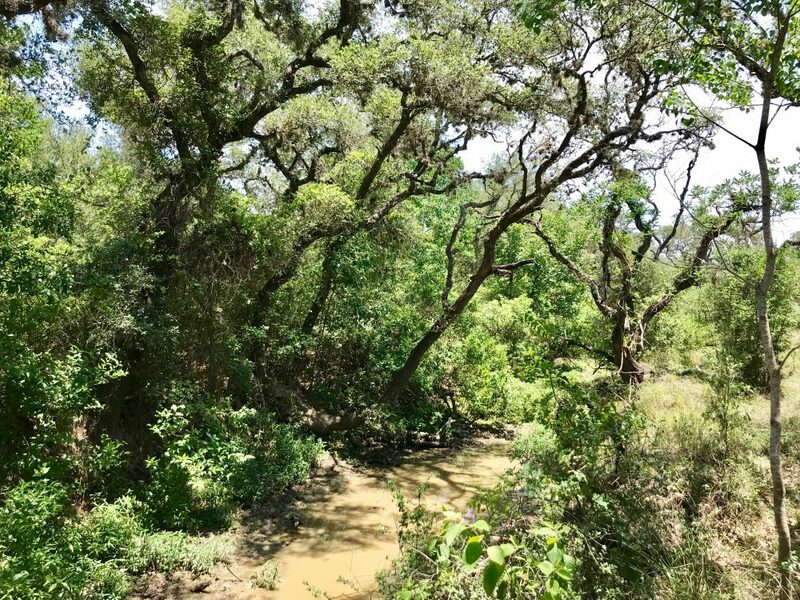 Terrain: The main attraction is the 2 miles of creek traversing through the ranch, forming part of the headwaters for Arenosa Creek which after leaving the ranch becomes the Victoria/Jackson County line. 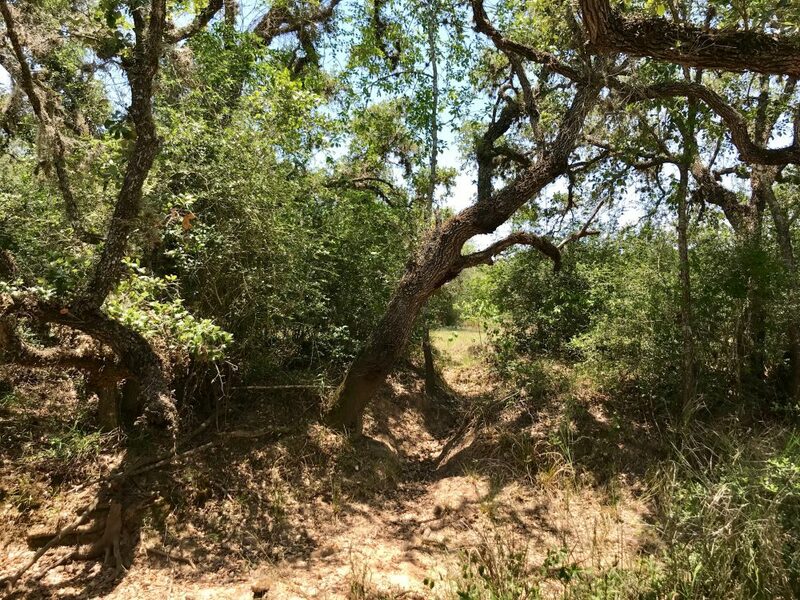 The ranch’s terrain is generally flat, with 20 feet of relief draining to the creek bottom. 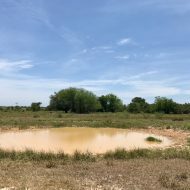 The soils range from productive clay loam to sandy loam. 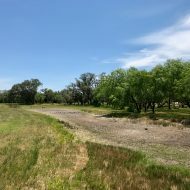 Some of the ranch along the creek is in the 100 year flood plain. 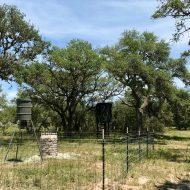 Rainfall for the area averages 44 inches per year. 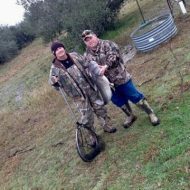 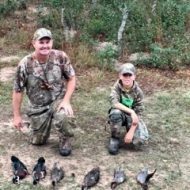 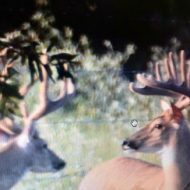 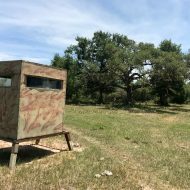 Hunting: The ranch is an island of thick woods, bordered by thousands of acres of active rice farm and open oak motte country, drawing in lots of wildlife in the area. 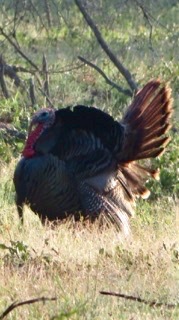 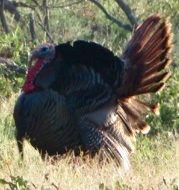 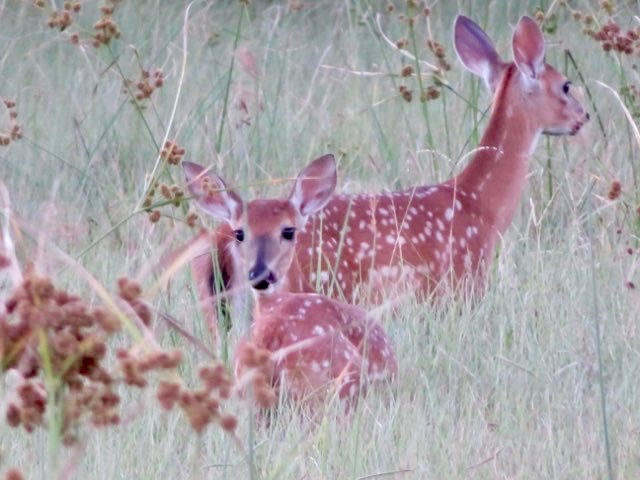 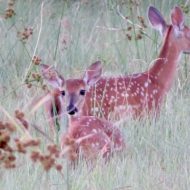 There is an abundance of native wildlife including white-tail deer, turkey, hogs, dove, ducks, and geese. 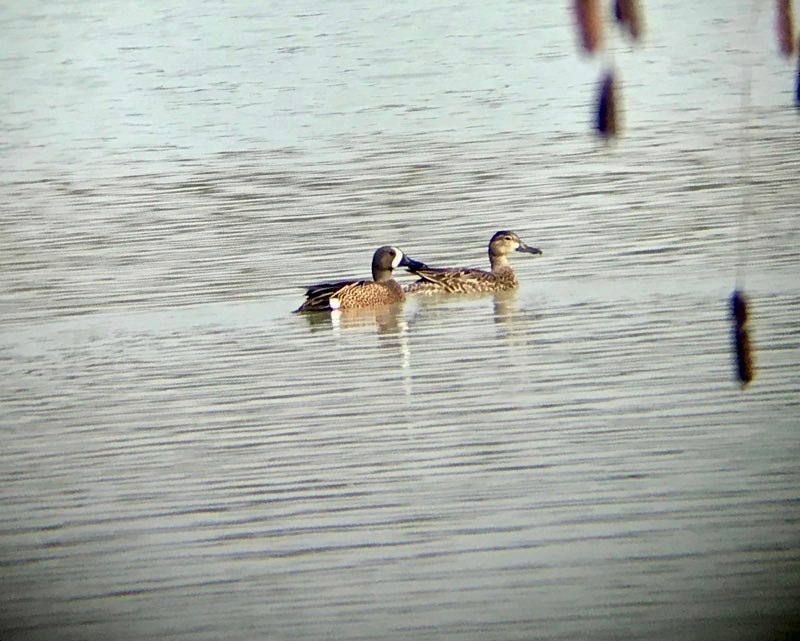 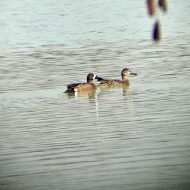 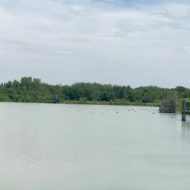 An array of duck species can be hunted in this area, including: pintail, gadwall, wigeon, teal, golden eye, spoonbill, bufflehead, red head, mallard, and wood duck. 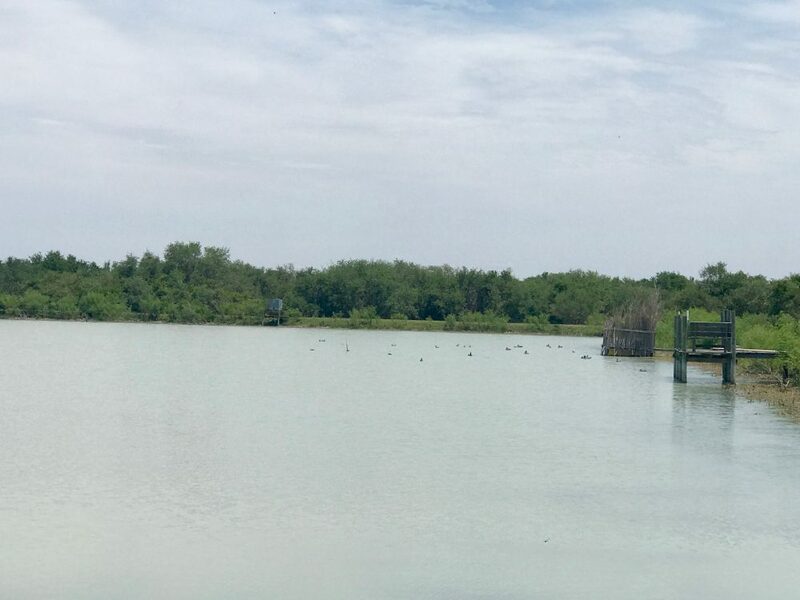 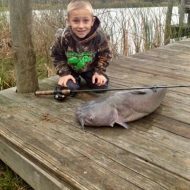 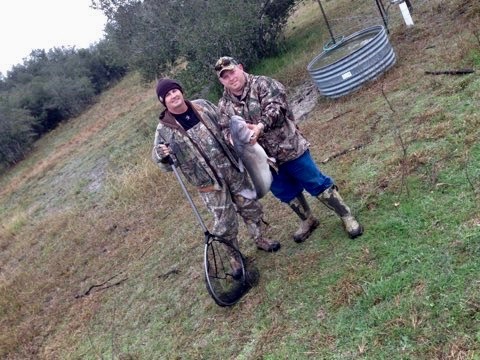 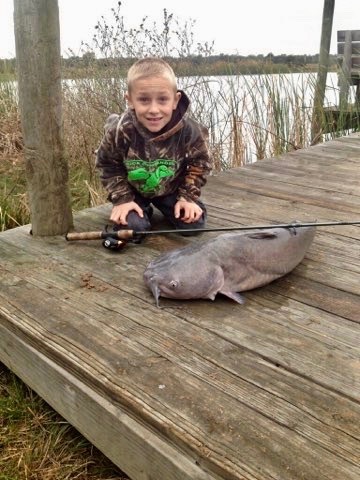 Water: There is one 3.5 acre lake, supplemented with piped water from one of the wells, stocked with catfish and bass. 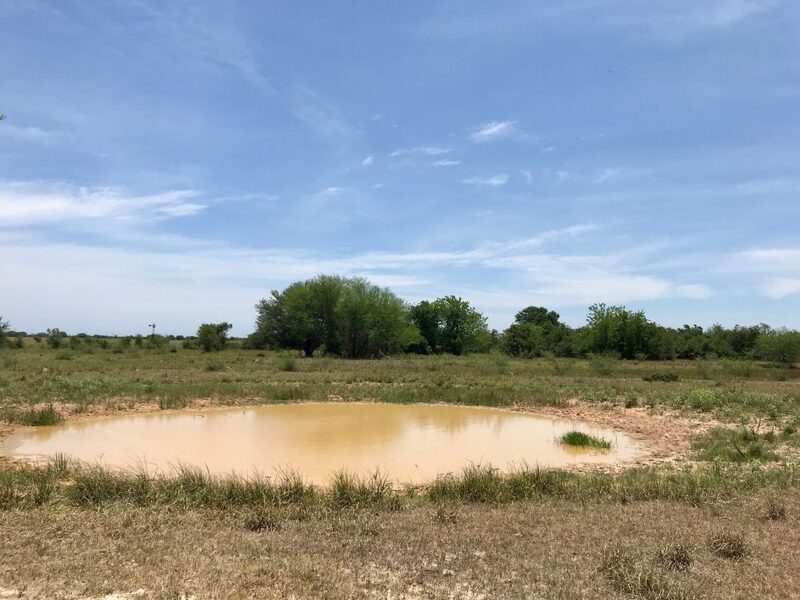 There are 7 other small shallow ponds, filled by rain water, suitable for duck hunting or watering livestock and wildlife. 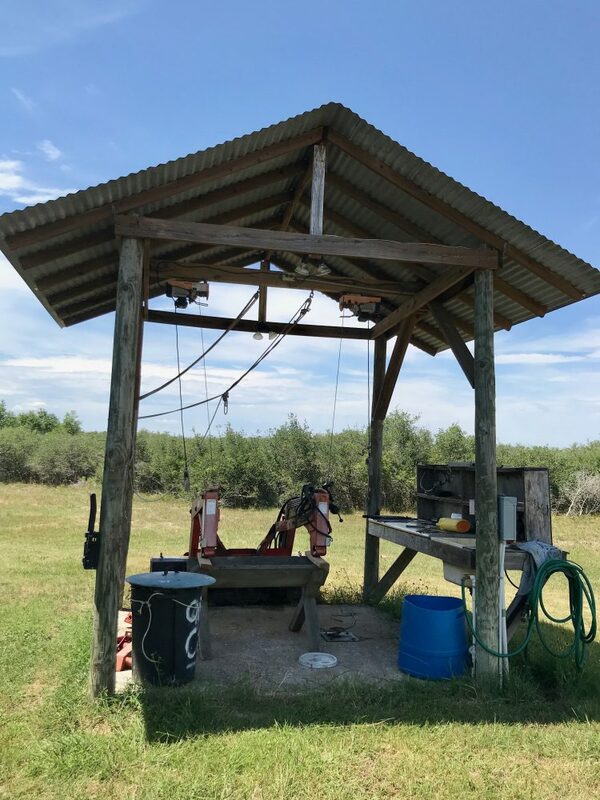 There are 3 water wells, 2 equipped with electric submergible pumps and one with a windmill. 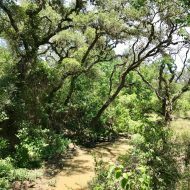 The creek holds pockets of water year round. 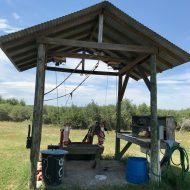 Minerals: No minerals to convey, and there is no production on the ranch. 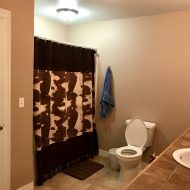 Improvements: There are 3 homes on the property. 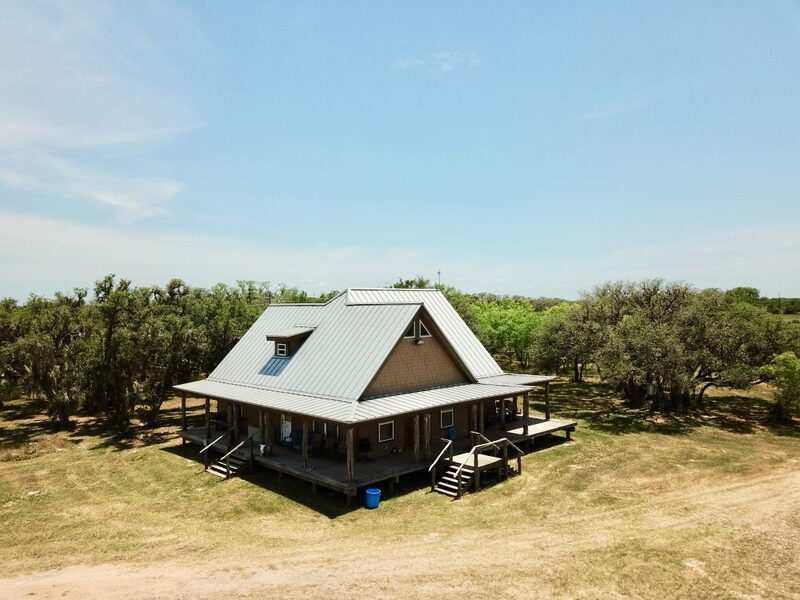 The first is a 2-story, 2,100 sq. 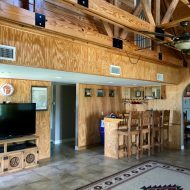 ft. pier and beam, with 4 bedrooms, 2 full bathrooms, wrap-around porches, and upstairs balconies. 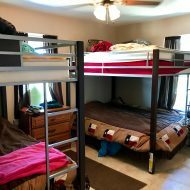 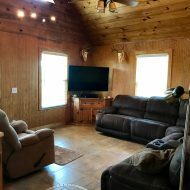 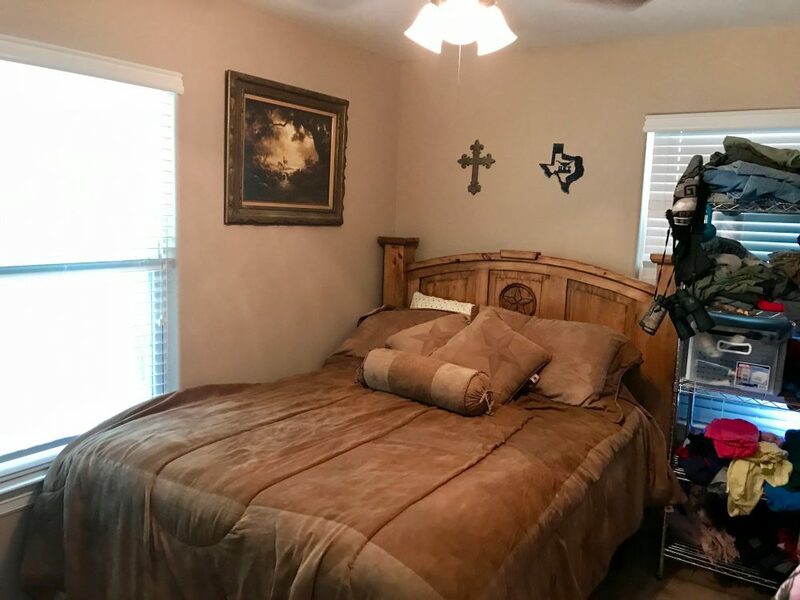 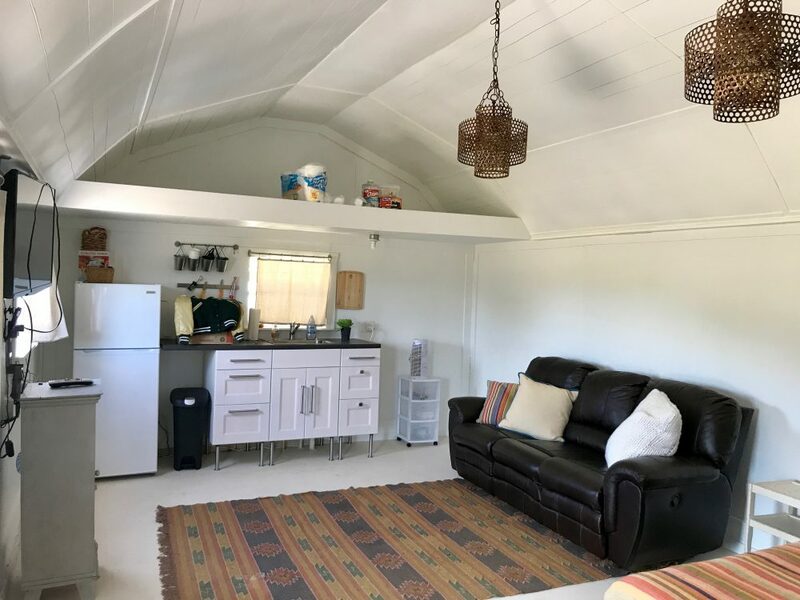 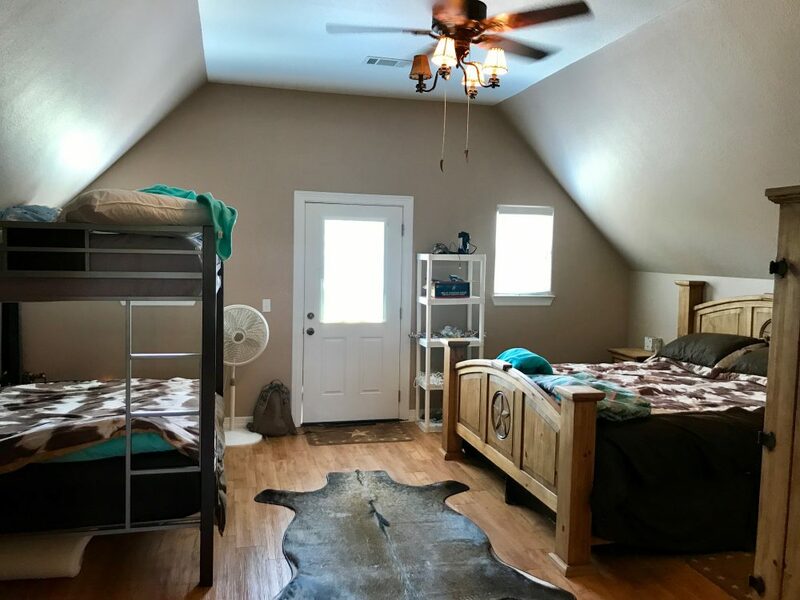 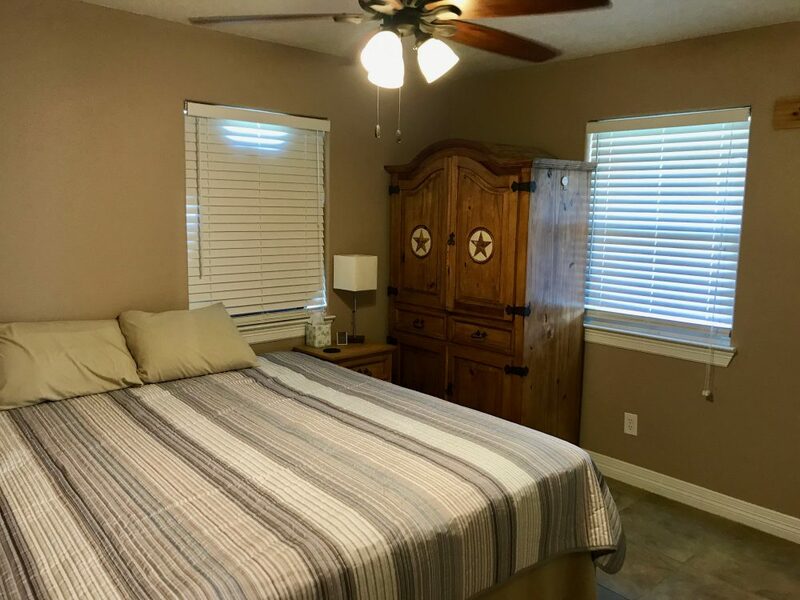 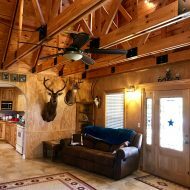 The home has vaulted ceilings, exposed trusses, tile floors downstiars, vinyl wood floors upstairs, wet bar, full kitchen, laundry closet, and rustic bead board interior walls. 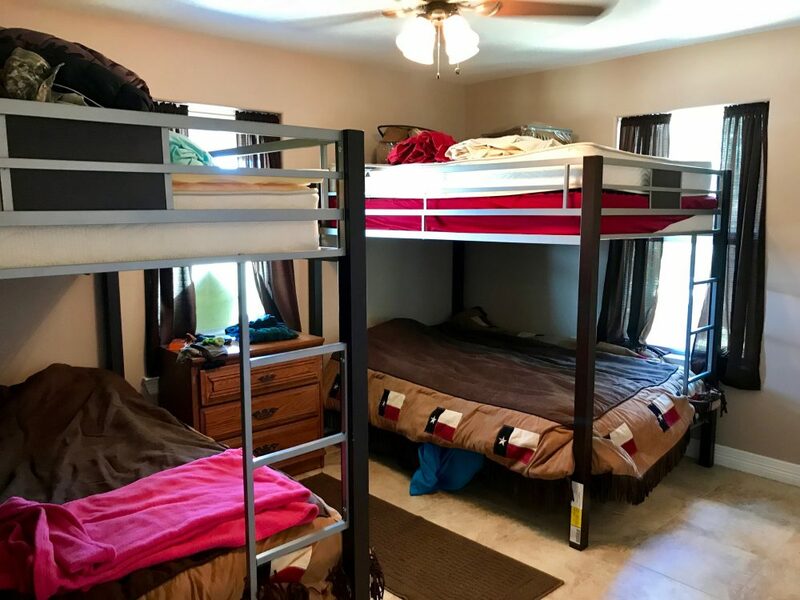 The second home is a 2-story, 1,200 sq. 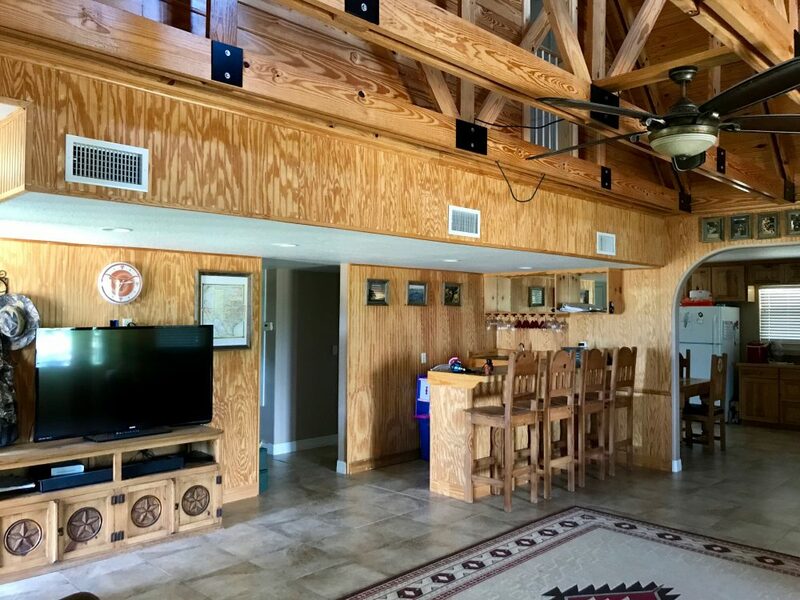 ft. pier and beam, with 4 bedrooms and 1.5 bathrooms, wrap-around porches, and upstairs balconies. 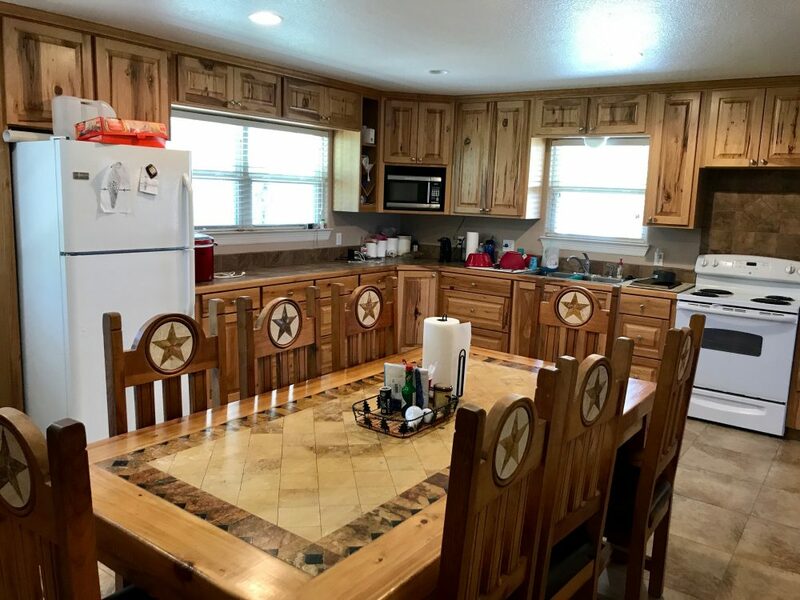 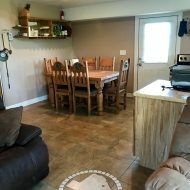 This home has vaulted ceilings, rustic bead board interior walls, wood planked ceilings, tile floors downstairs, vinyl wood plank floors upstairs, full kitchen, and laundry closet. 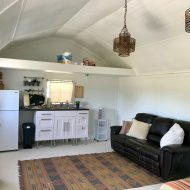 The third home is an 800 sq. 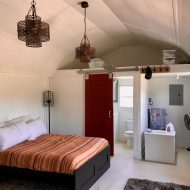 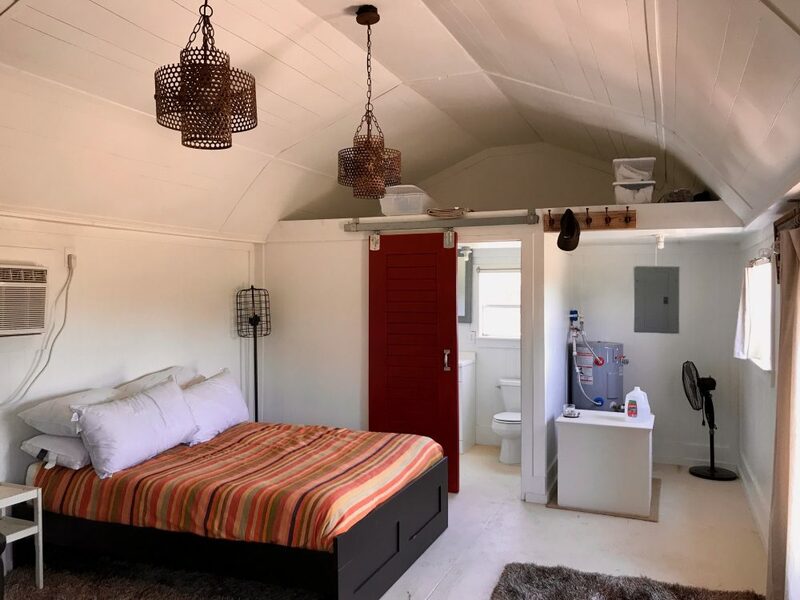 ft. Metal bunk house, remodeled into a “tiny home” with a lot of character. 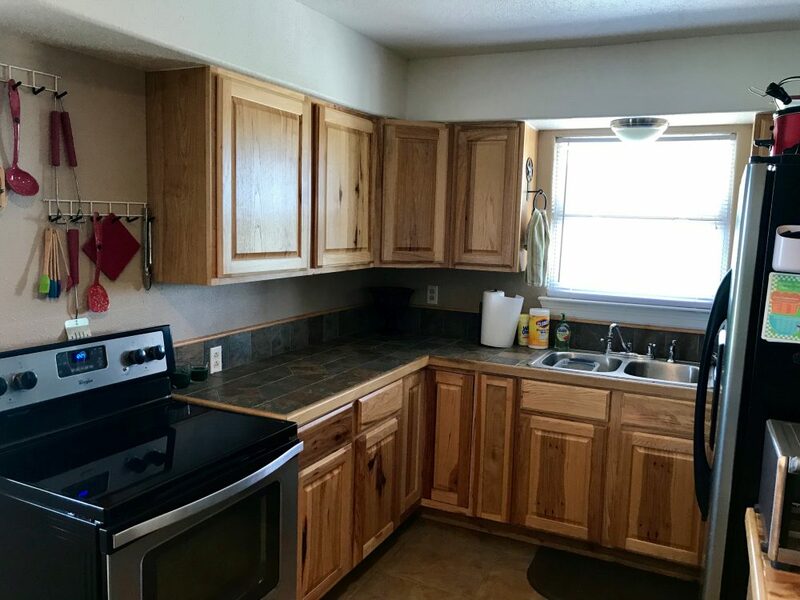 It has a kitchenette, full bathroom, and is cooled by a window unit. 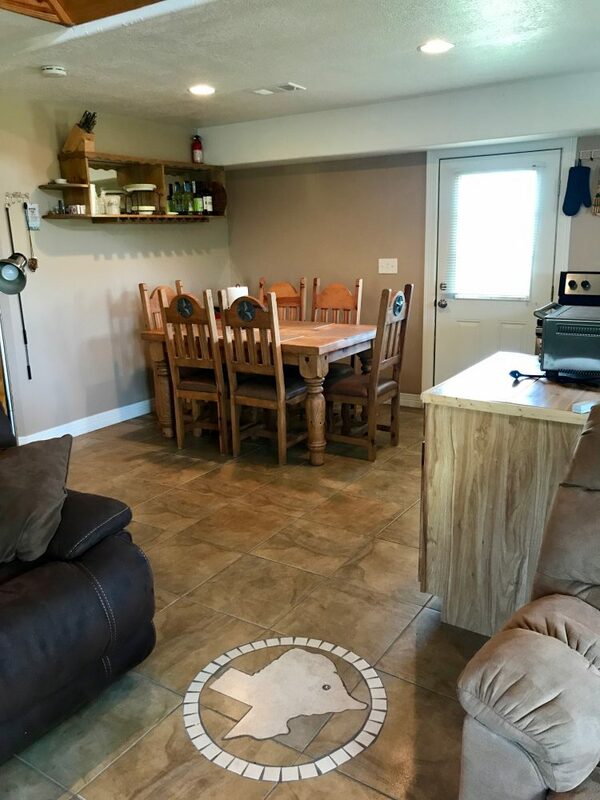 Most of the furniture will convey with the sale, except for a few personal items. 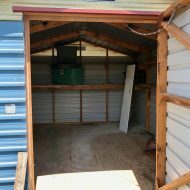 Other improvements include a 16X60 metal barn with 7’ roll up doors on each end and a commercial ice machine. 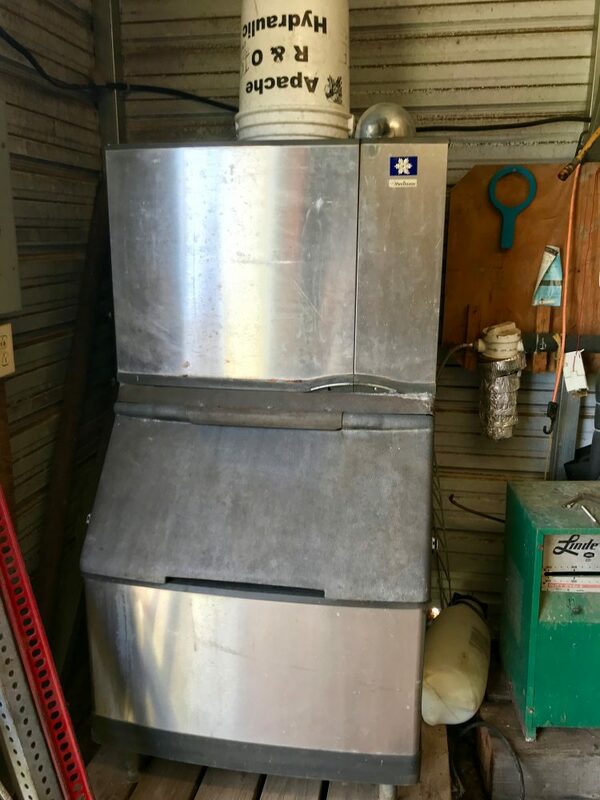 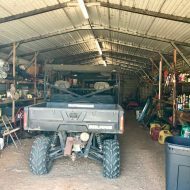 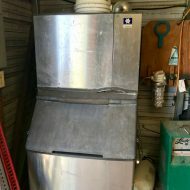 There is also a gun range, cleaning station, feed storage shed, well house, and fuel tank. 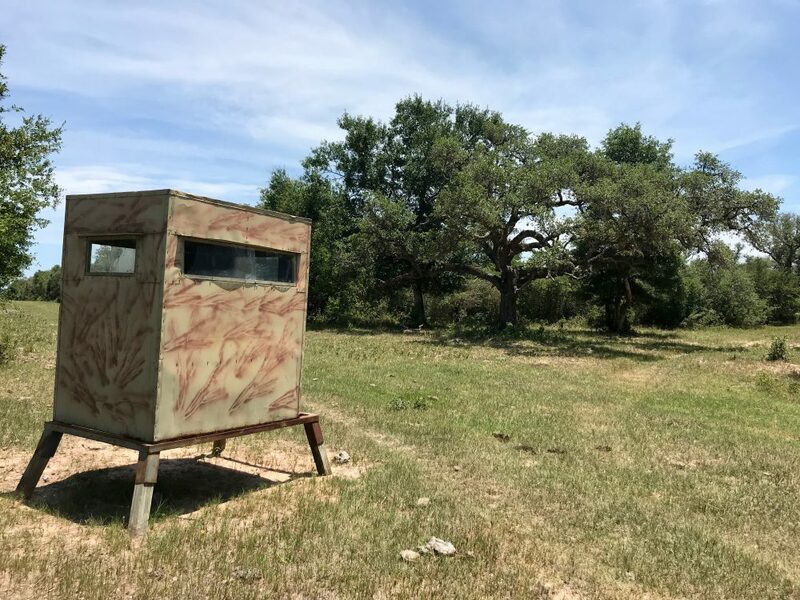 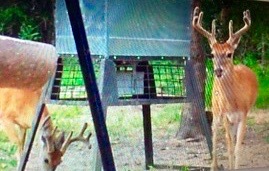 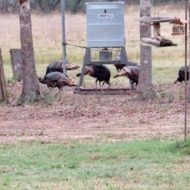 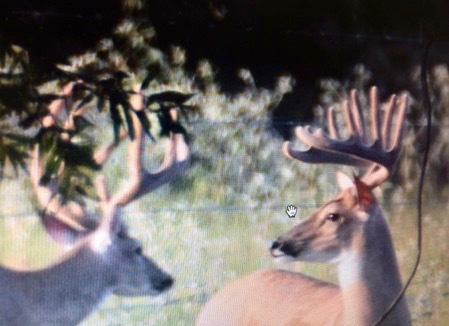 There are 9 hunting blinds and feeders that will convey with the sale. 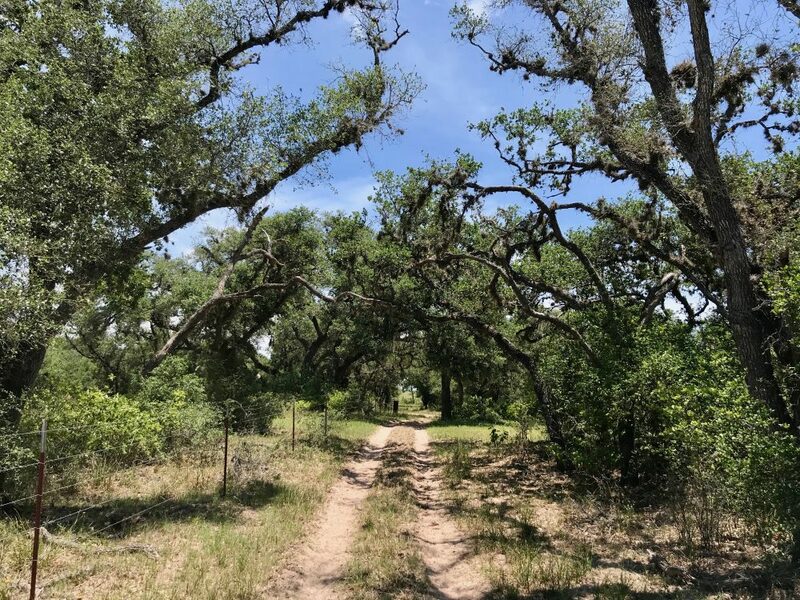 The 5-strand barbed wire fencing is in good condition, and there are many interior roads that allow for getting around the entire ranch. 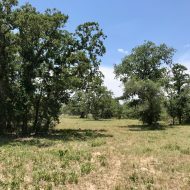 Price: $4,400/acre. 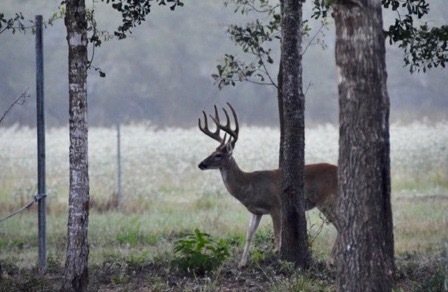 Cash at closing. 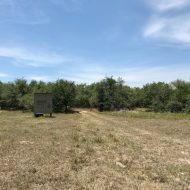 There is also an additional 15 acres available 1/4 mile from the gate. 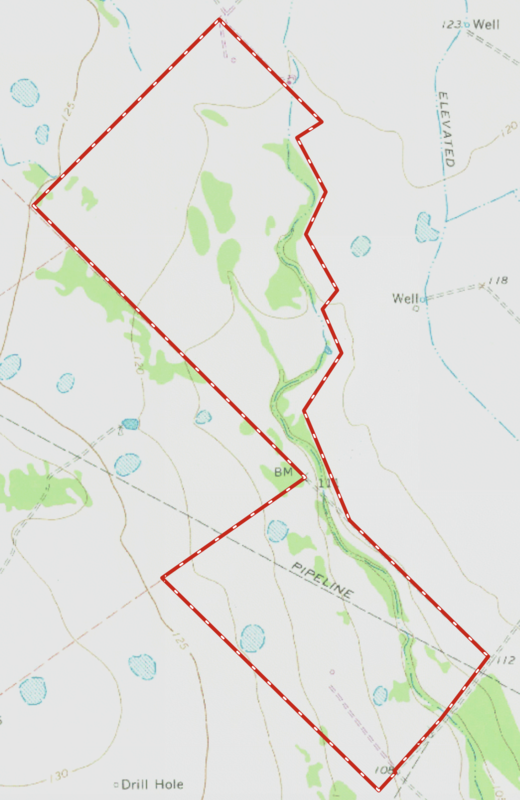 The information contained herein was supplied by sources believed to be accurate. 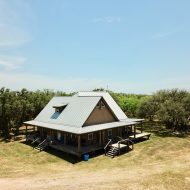 Provider makes no representation as to the accuracy of the information contained herein and therefore assumes no liability for accuracy thereof. 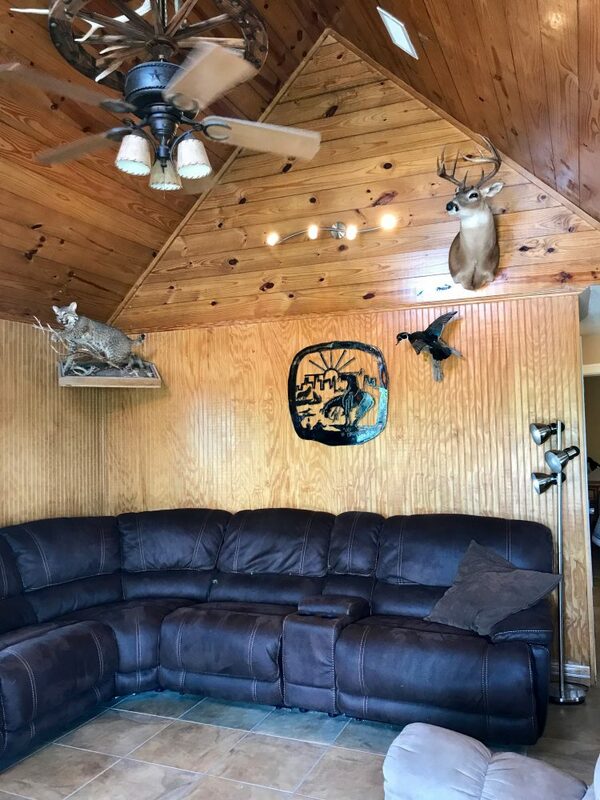 All terms and conditions are subject to change without notice. 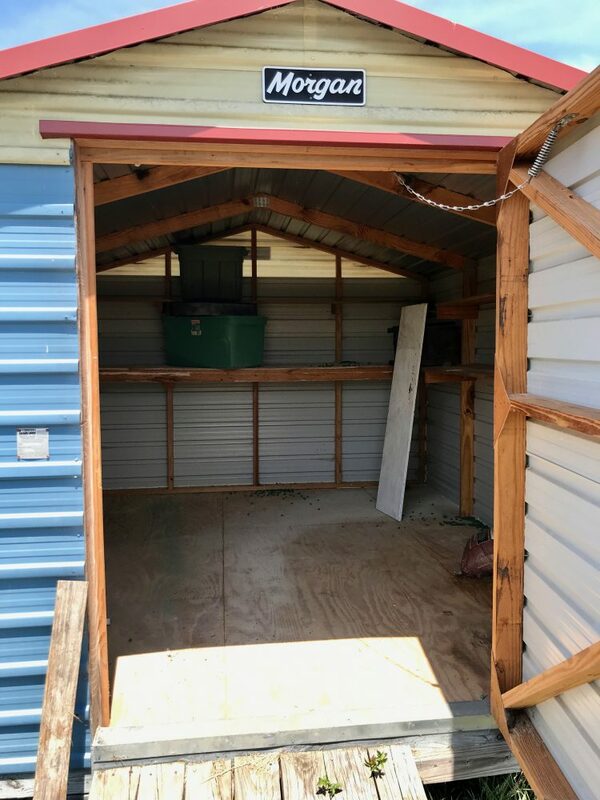 Property is subject to removal from marketplace without notice. 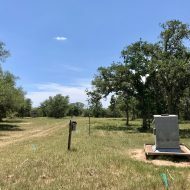 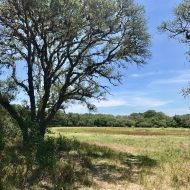 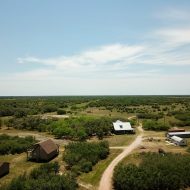 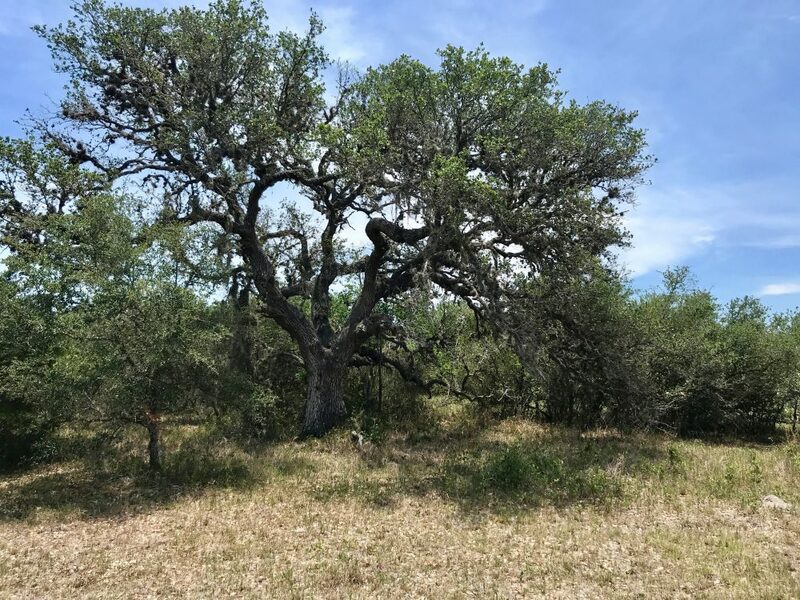 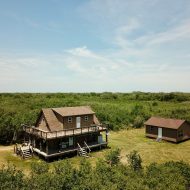 Latest from La Gloria Land Co.
Matt has sold 3 ranches for me, and after every new sale, I am more and more impressed with his knowledge of the land market and his ability to find well qualified buyers. 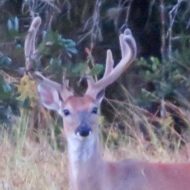 With him, I always know where he stands and can always trust that he is representing me well with unshakeable integrity and character. 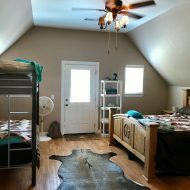 Not only is Matt good at what he does, he is a good man, and I'm proud to be his friend and client. 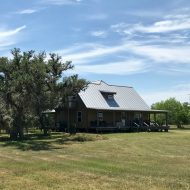 In buying my ranch, Matt made himself available no matter the time of day, which made the purchase and closing much easier than I had anticipated, and his knowledge of the industry and the property proved that he enjoys what he does. 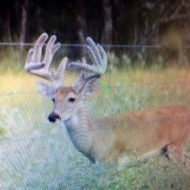 I gladly recommend him to others that might be interested in purchasing a ranch. 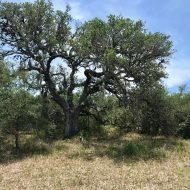 Matt's honesty was apparent, and was evident of a commitment to our Lord. 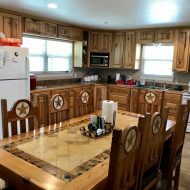 Matt has handled several deals for me and beyond being a hard working, knowledgeable and successful broker; he is a genuine good guy. 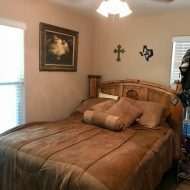 Matt's honest, integrity, and faith in God is the foundation that makes Matt and La Gloria Land Co. my first choice to handle my properties. 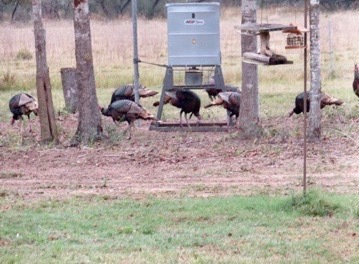 Matt handles my property as if they were his or his families. 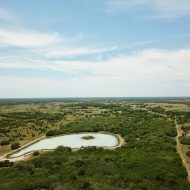 I enjoy working with Matt and look forward to continue working with La Gloria Land Company for many years to come. 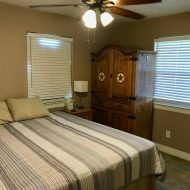 Matt, Thanks for doing a great job for Sherry and me. 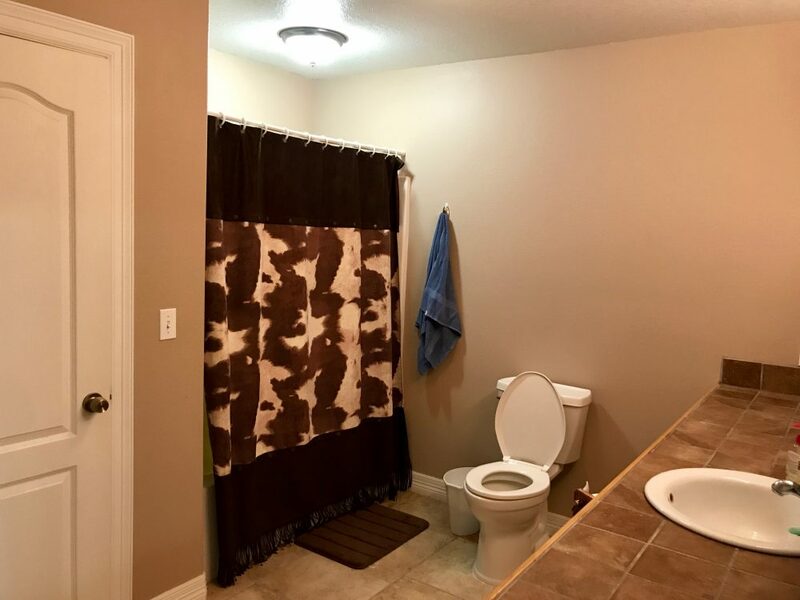 I appreciate you hanging in there when other brokers simply showed a property and forgot you were still looking. 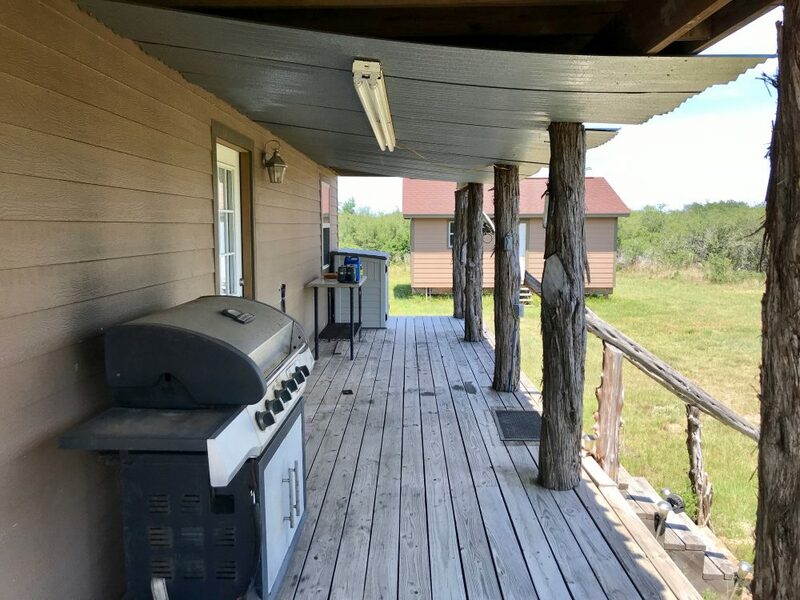 As a result your hard work and persistence paid off for us and we found the property we were looking for. 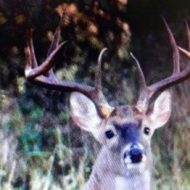 Thanks so much for all your hard work and persistence. 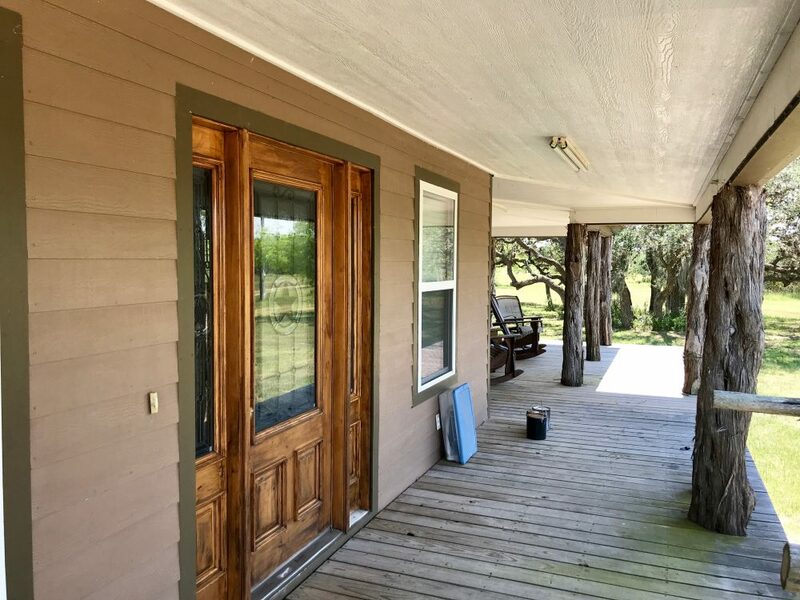 I have purchased many rental properties over the years and understand the importance of having an agent that knows the business, people and prices. 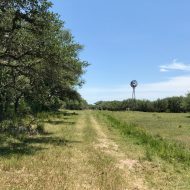 When I decided to purchase a ranch it was even more important given my lack of experience in this area. 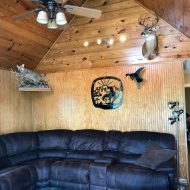 I found Matt Mann to be extremely knowledgable, helpful and had the energy to close the deal while representing my interest. 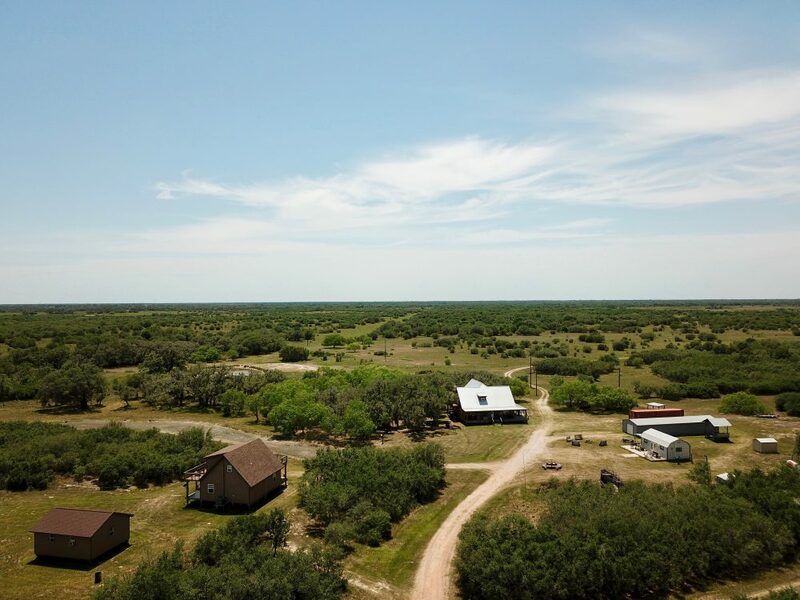 If you have a ranch or farm to sell or buy I highly recommend you work with Matt Mann. 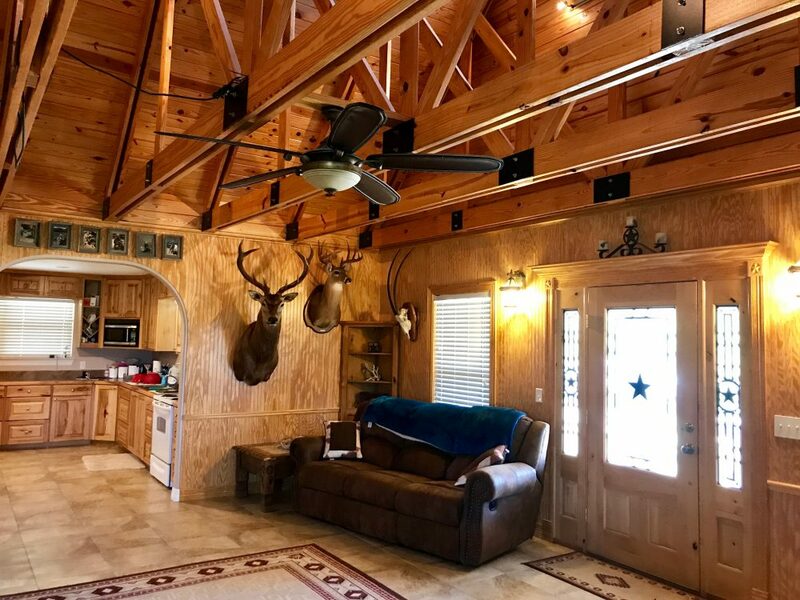 Your professionalism, integrity, knowledge, and preparation stand tall in today’s complicated real estate market. 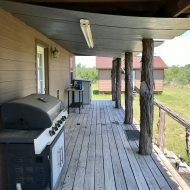 I appreciate the way you stay connected with projects from beginning to end. 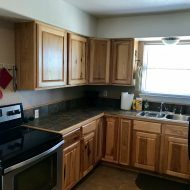 Your honesty and straightforwardness is a testimony to the character you reflect in every project. 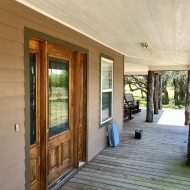 I certainly recognize you as a top professional in the field of real estate land transactions. 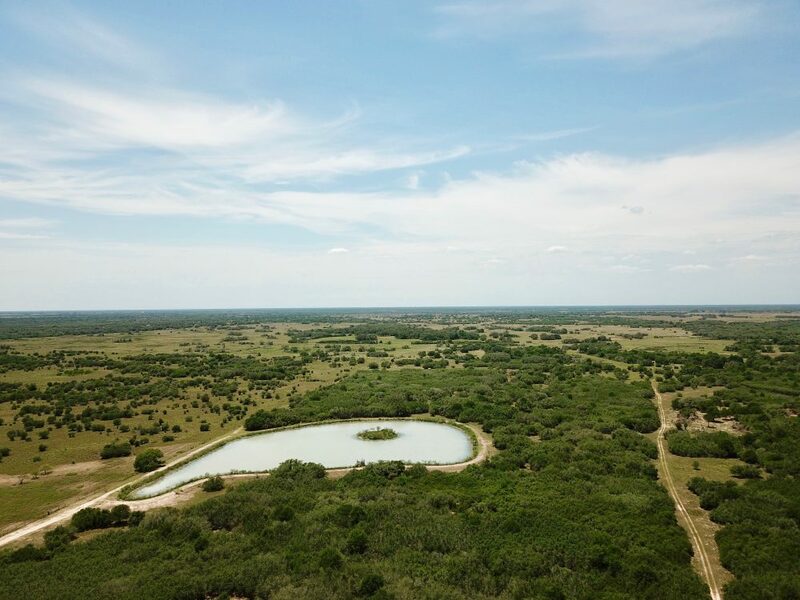 "Matt Mann went out of his way to assist in the sell of our ranch. 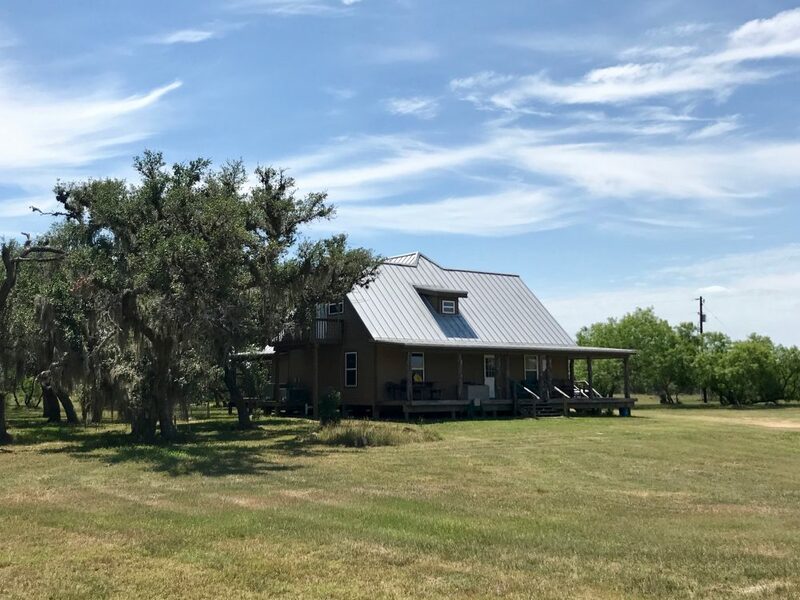 Our buyer wanted to close on our ranch within a three week window which meant Matt had to drive from Houston to La Grange several times to achieve all signed documentation for closing. 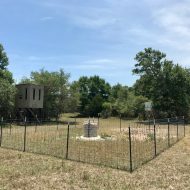 Matt was very responsible and full of integrity. 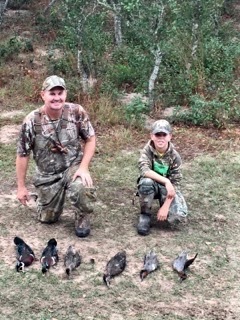 Thank you Matt for your hard work..... "